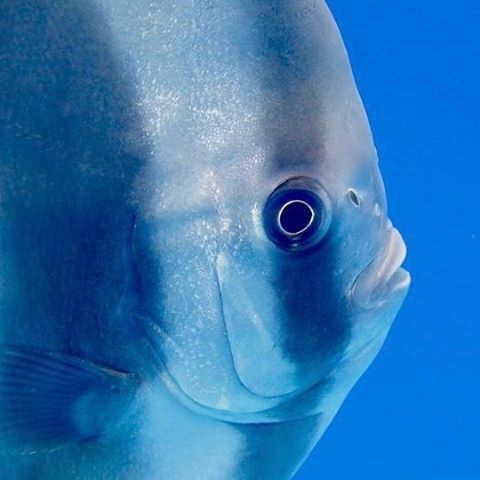 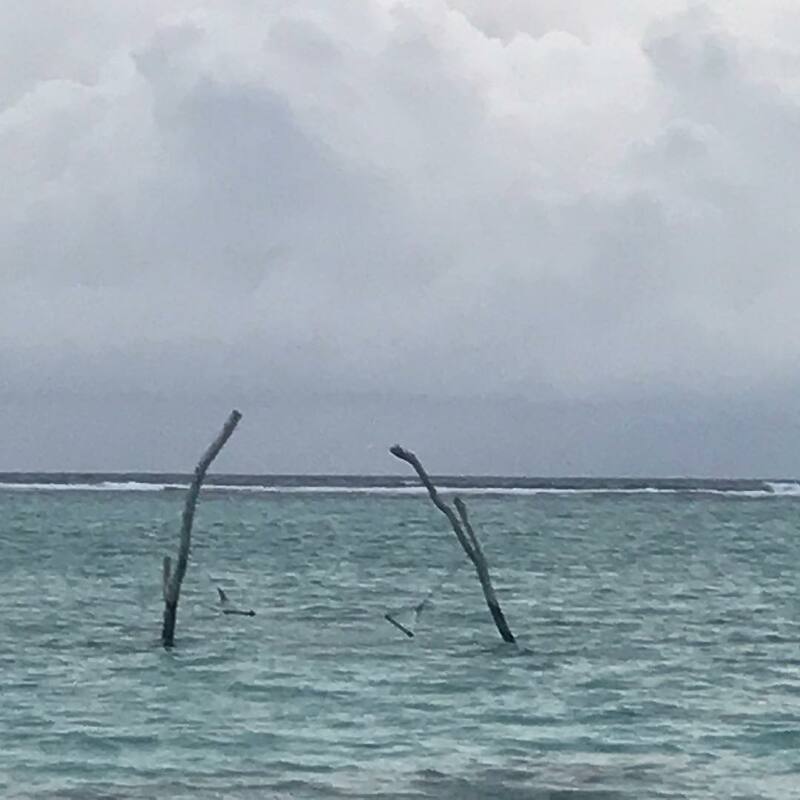 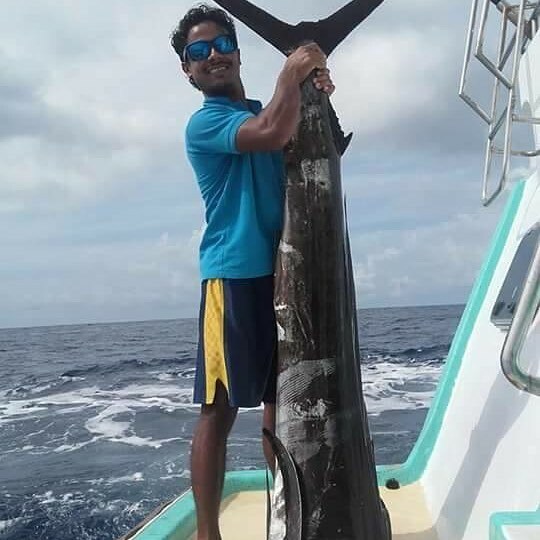 A fish that was once feared by the Maldivian people for its sheer size and mysterious nature is now a pride and a unique selling point – so much so that it has appeared on the largest banknote of the country, introduced in 2015. 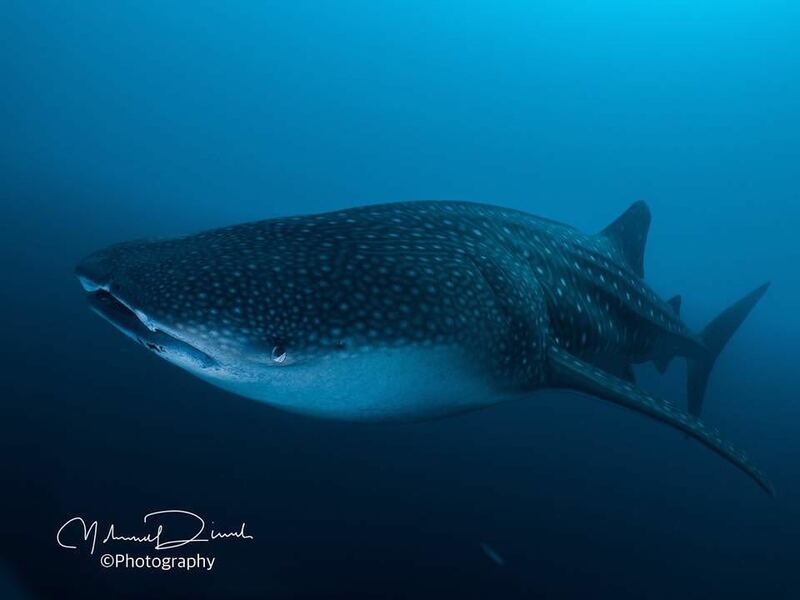 The whale shark is the largest fish in the entire ocean and a real beauty. 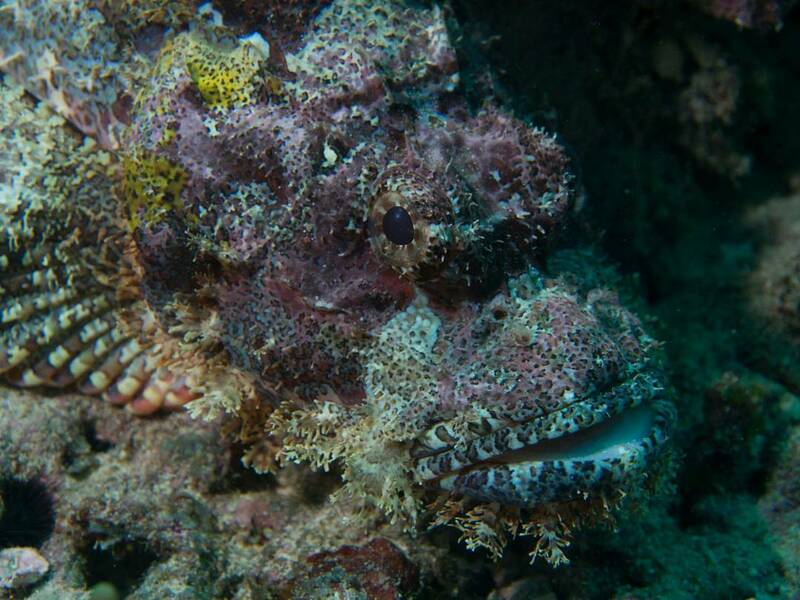 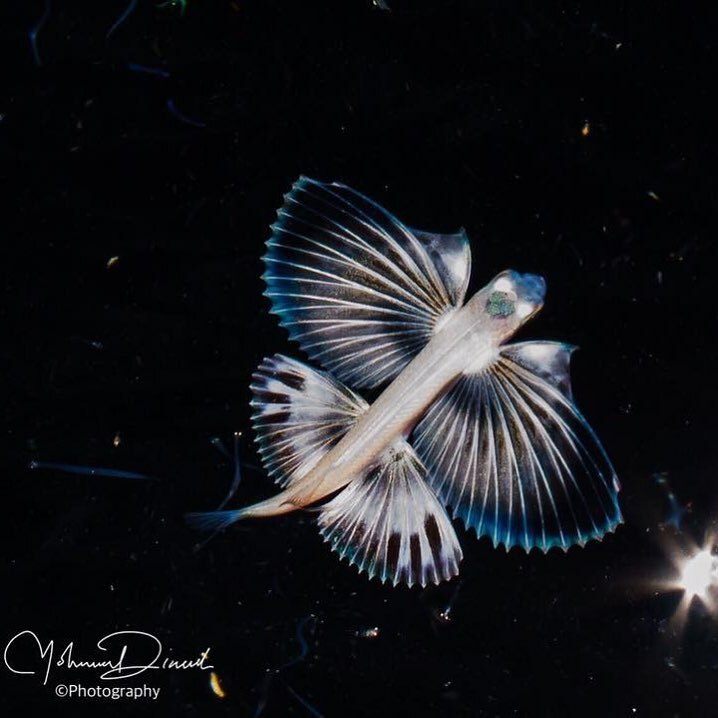 Contrary to its name, this fish is in fact a shark; not a whale. 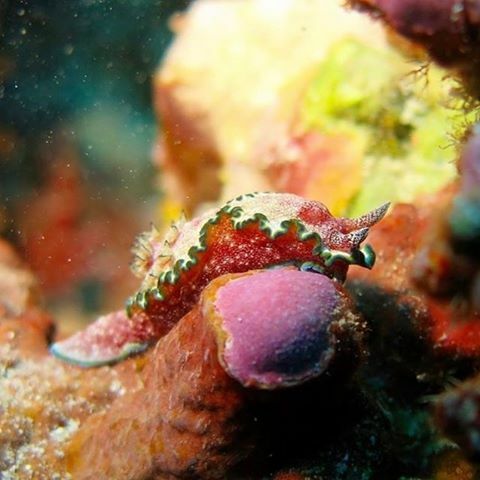 However, there are several physical features and behavioral traits that set it aside from its relatives. 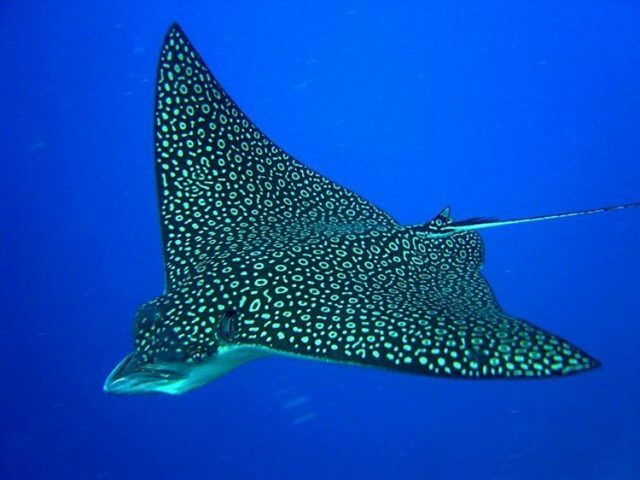 For starters, despite its intimidating size (a whale shark can grow up to 60 feet and weigh up to 19,000 kg) they are not a threat to humans or other large fish as the whale shark, ironically, feed on the tiniest creatures in the ocean. 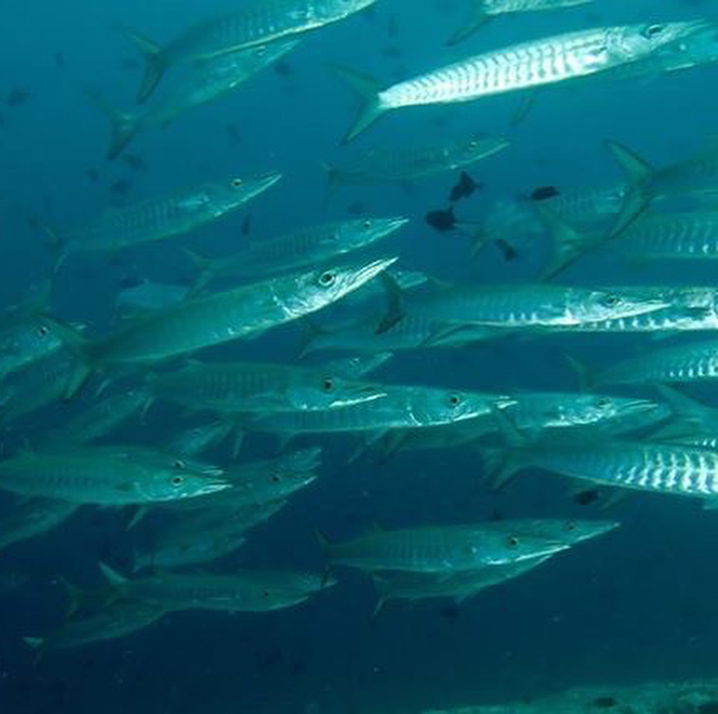 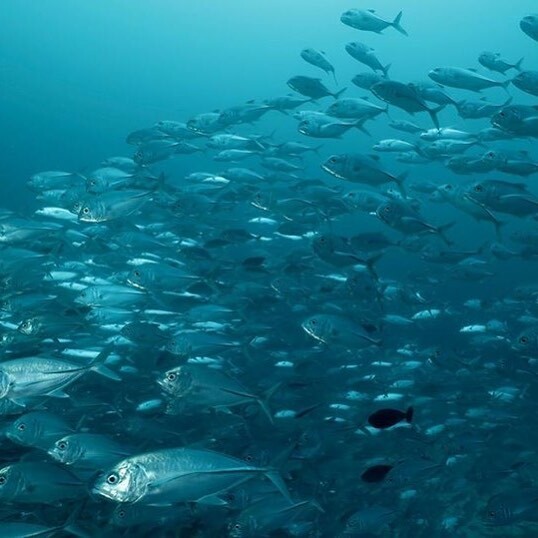 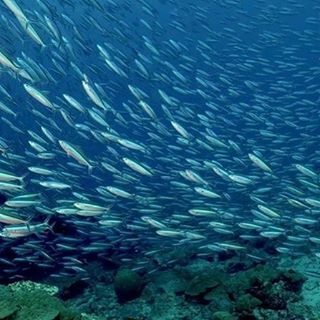 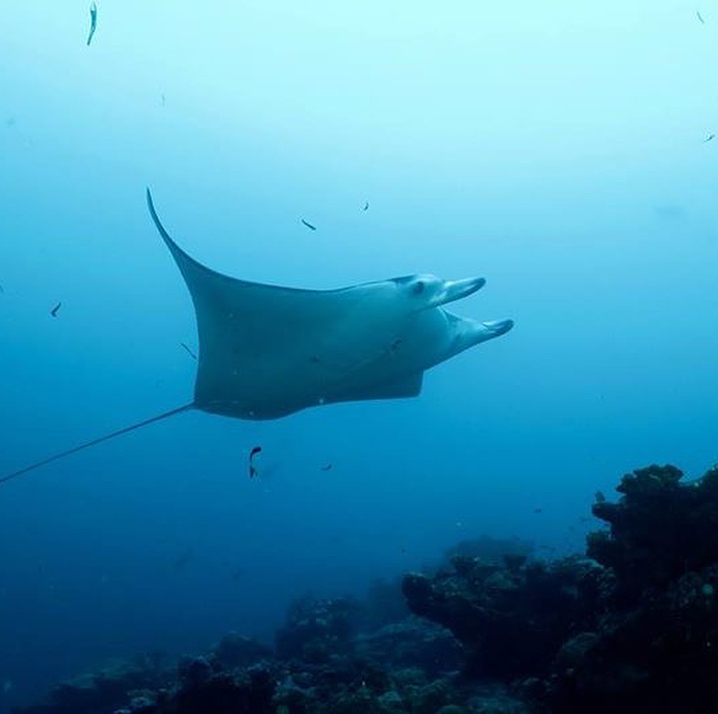 It is a filter feeder that prefers to eat plankton and is rather gentle in nature. 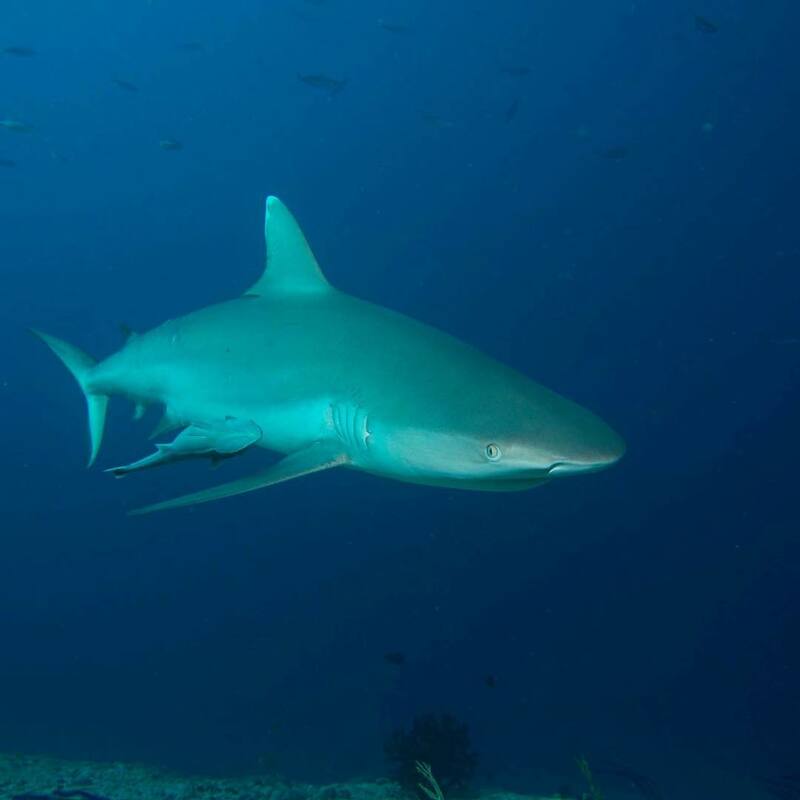 Its mouth is located on the front of its head, making it look adorable, unlike other sharks that have their mouths, with rows of sharp teeth, on the underside of their head. 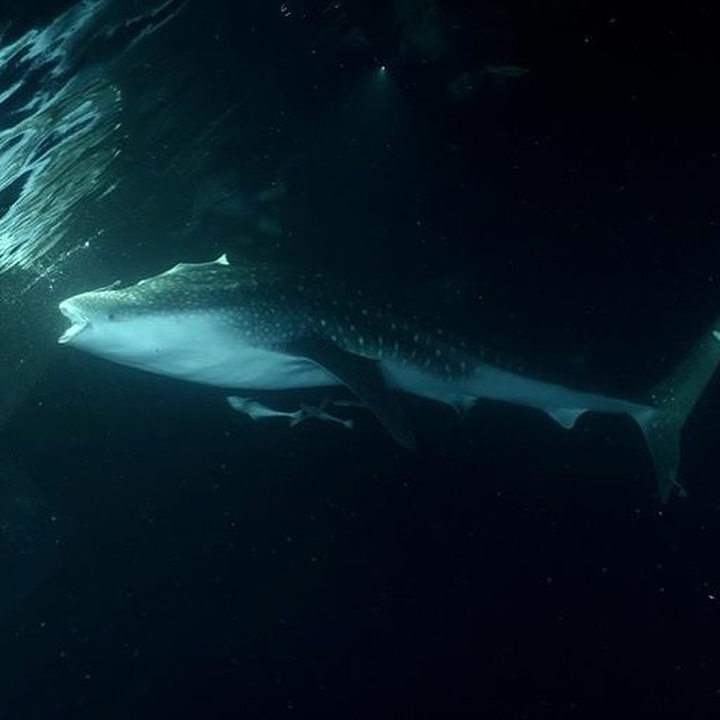 From the little that we know about whale sharks, we know that they are migratory and can possibly live up to a hundred years. 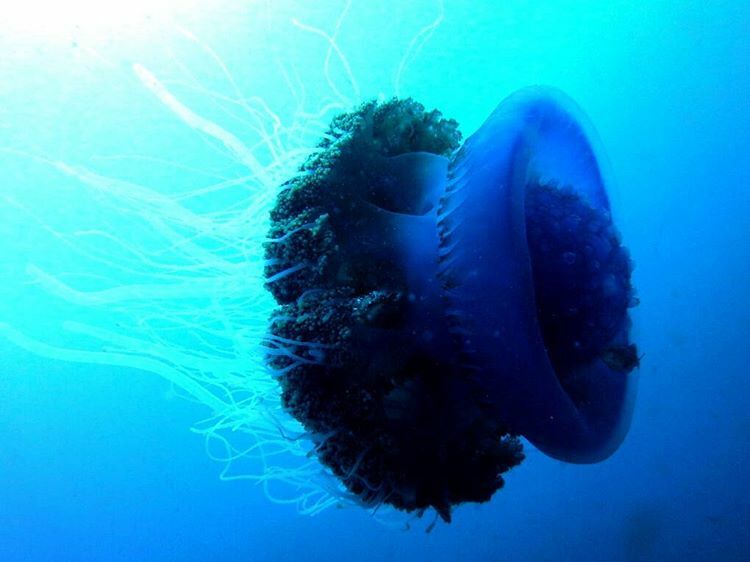 This beautiful giant is a loner and is often seen swimming alone. 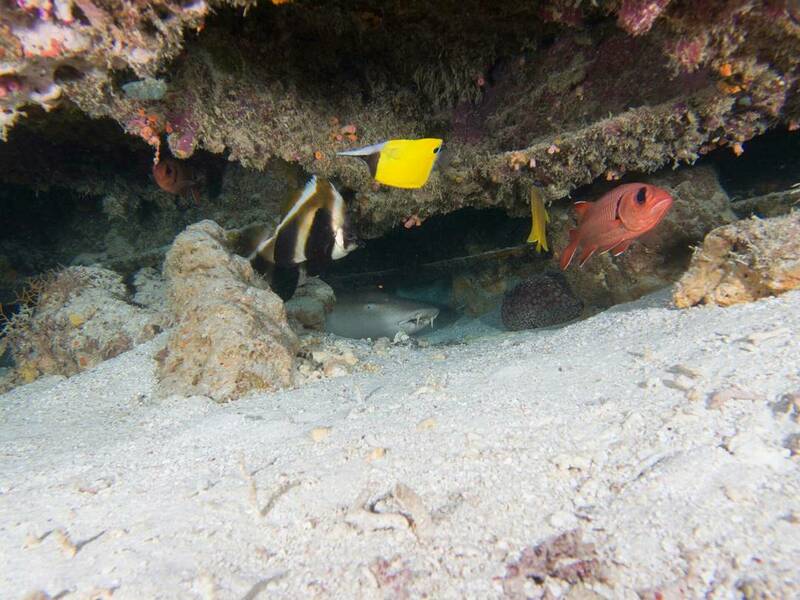 Interestingly, the mother leaves her young after birth. 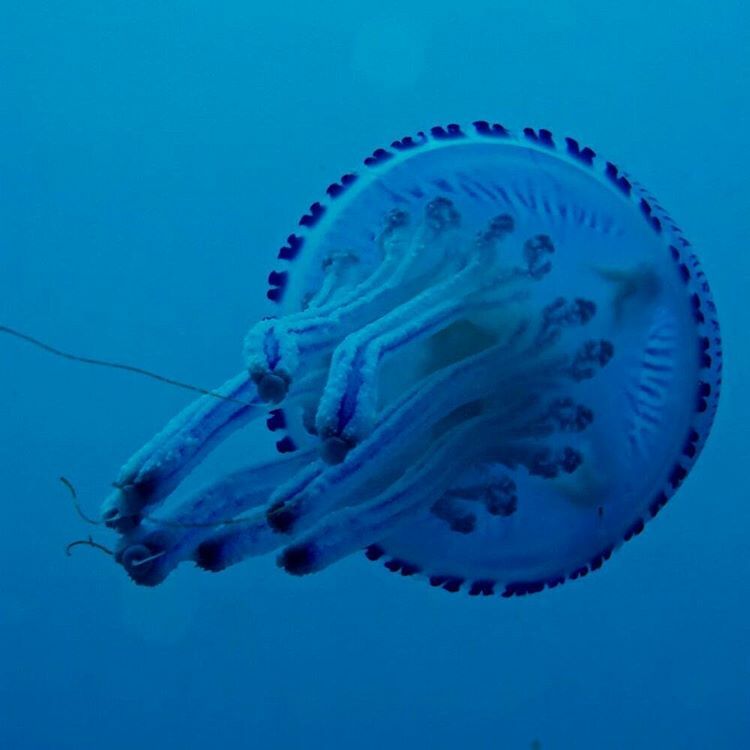 The offspring are born in the mother’s body out of egg capsules. 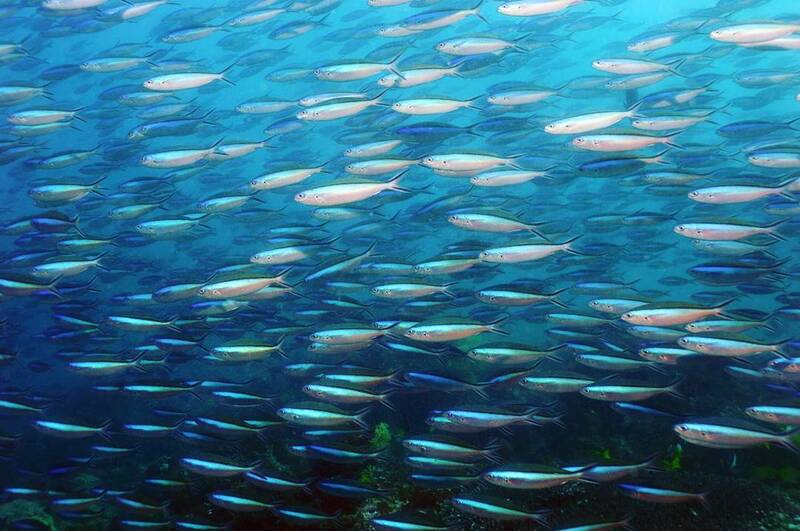 Research shows that there can be about 300 young ones, but less than 1 in 10 is thought to survive to adulthood. 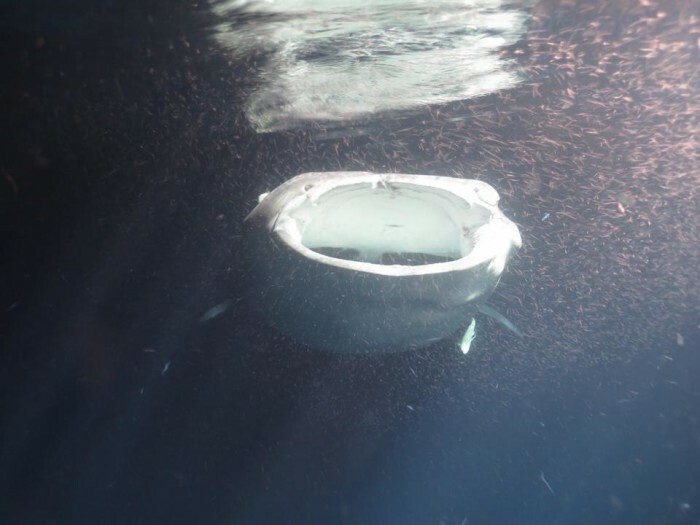 One of the most interesting facts about the whale shark is that, similar to human fingerprint, the pattern of spots around the fish’s gill area is unique to each individual. 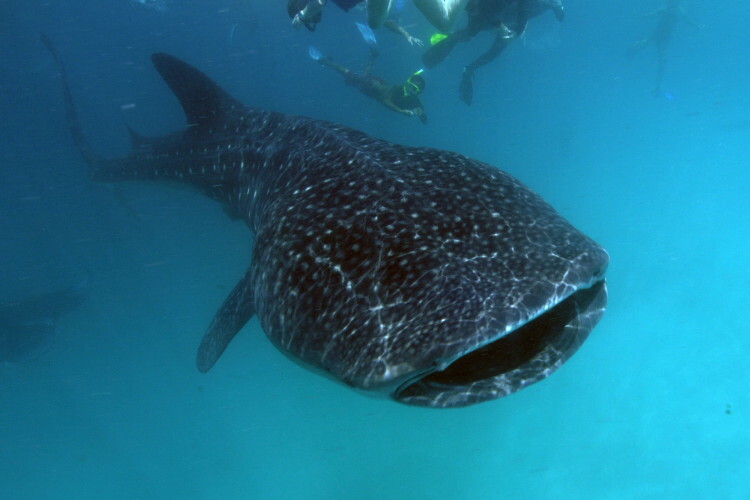 Swimming with a whale shark is an absolutely exhilarating experience. 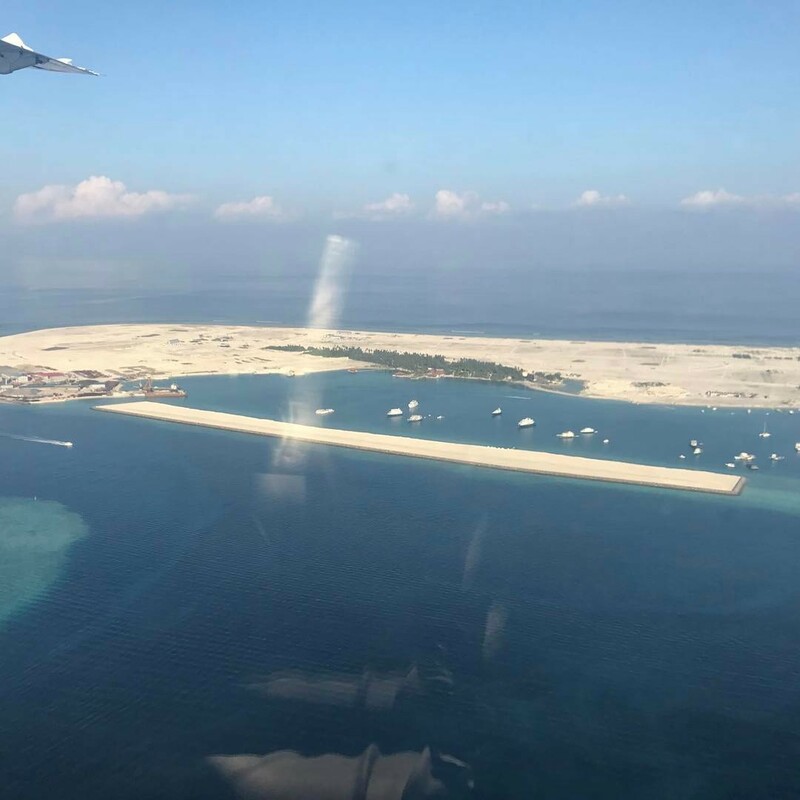 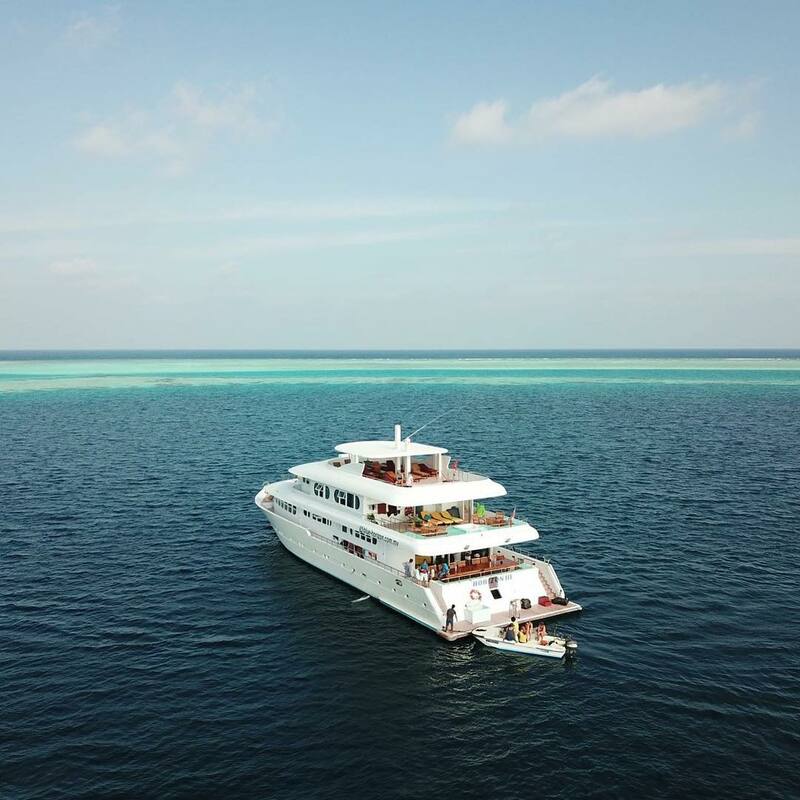 And Maldives is one of the best places to swim with a whale shark, mainly due to the fact that this is the only place where whale sharks are sighted throughout the year, thanks to the consistently warm weather. 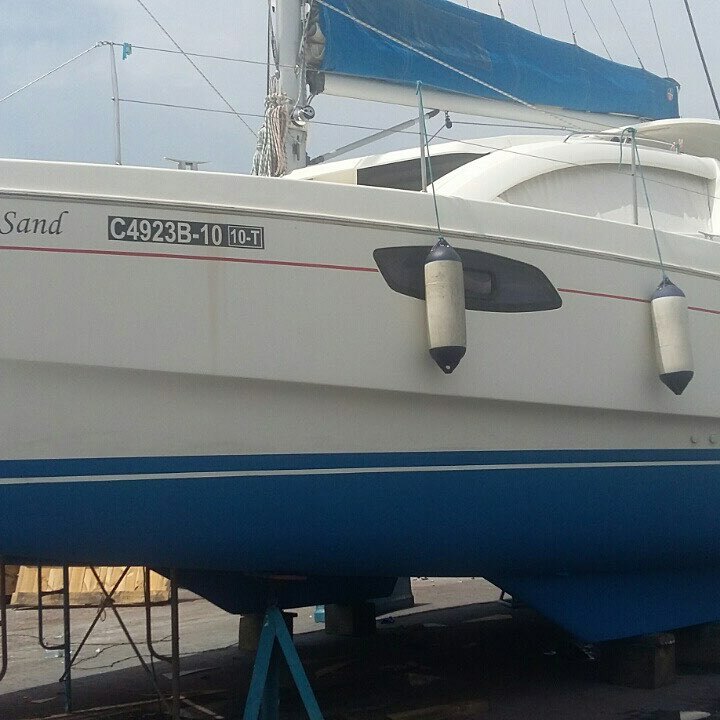 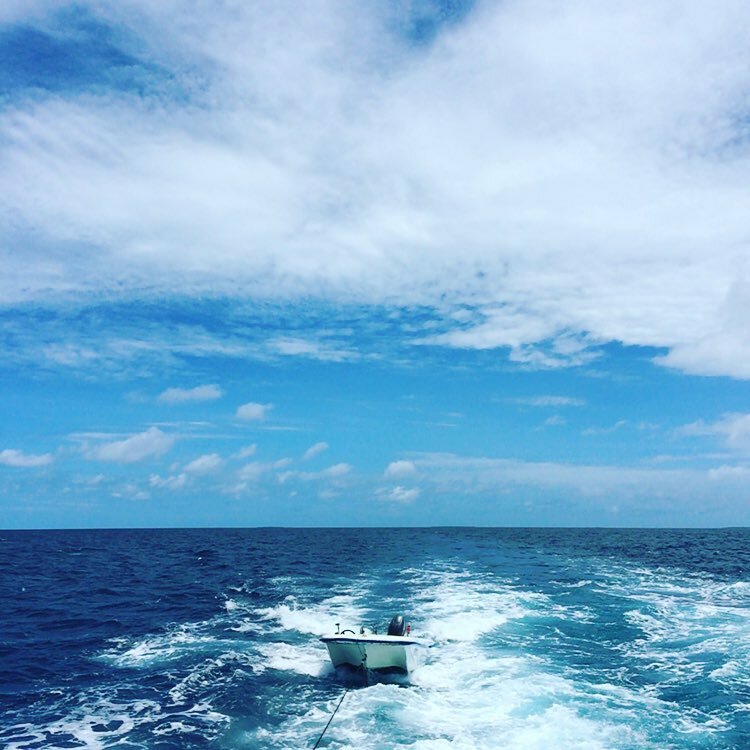 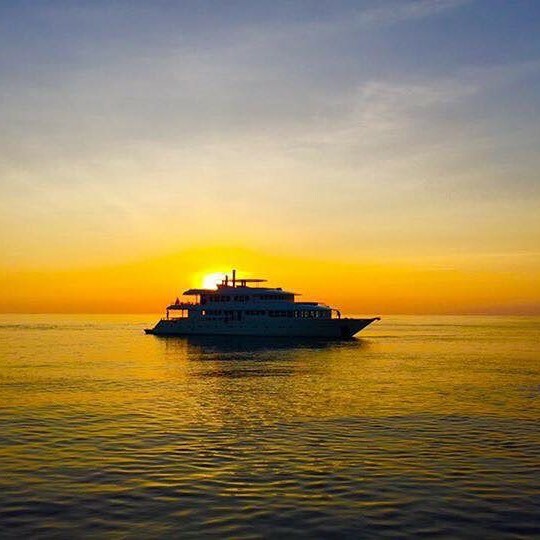 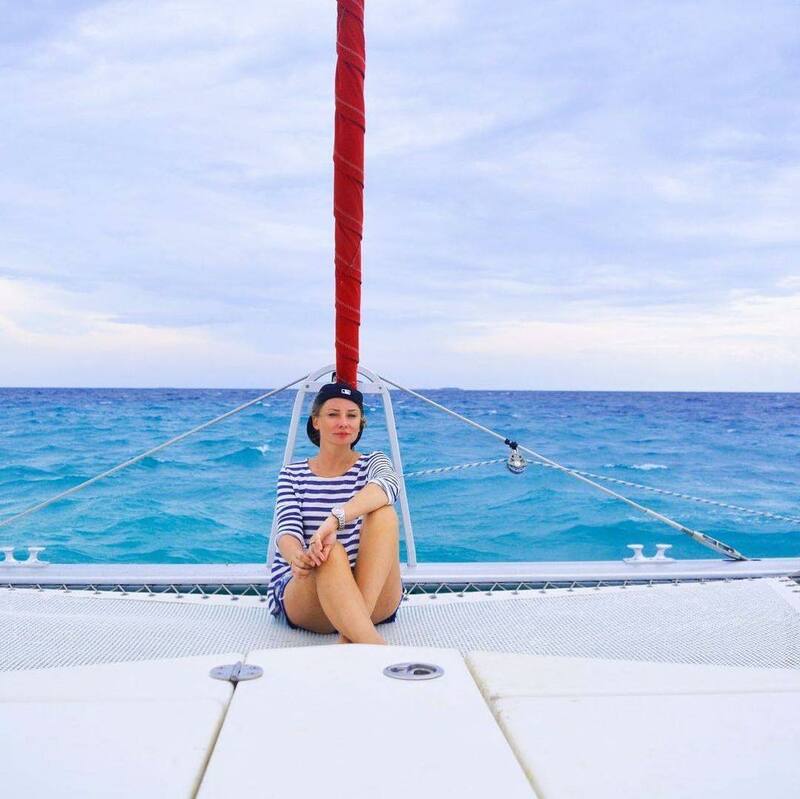 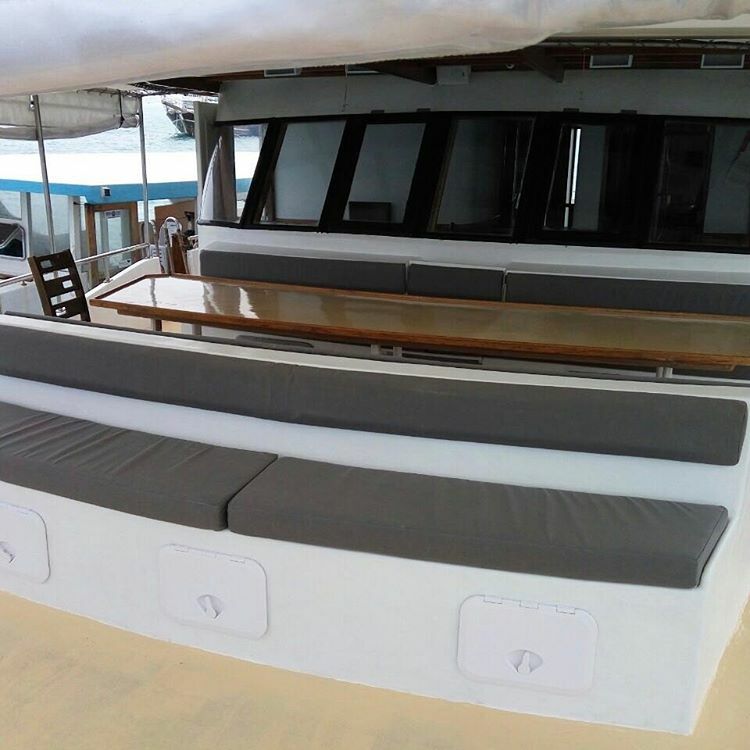 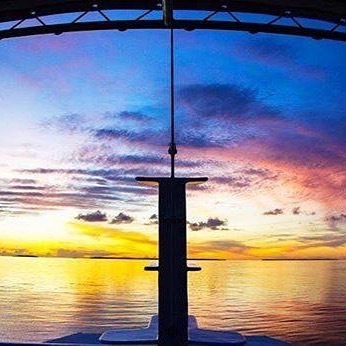 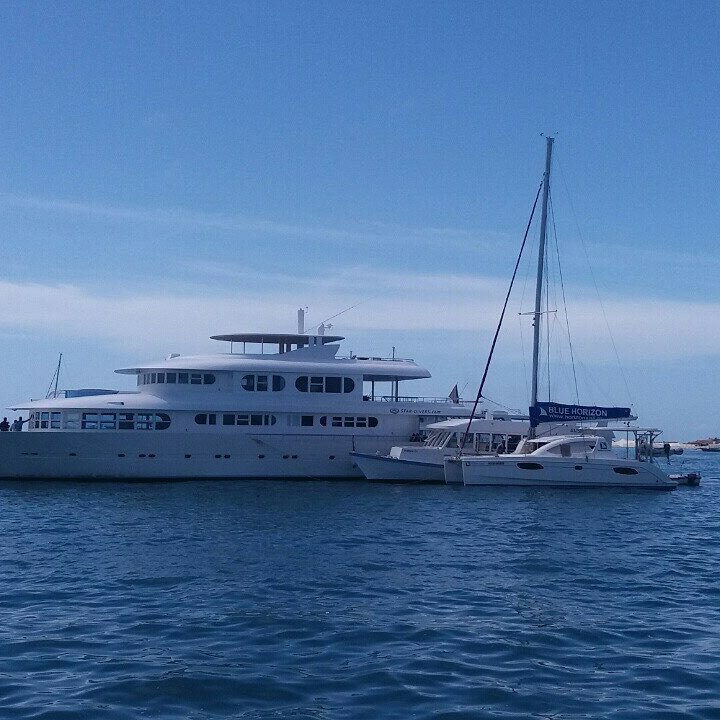 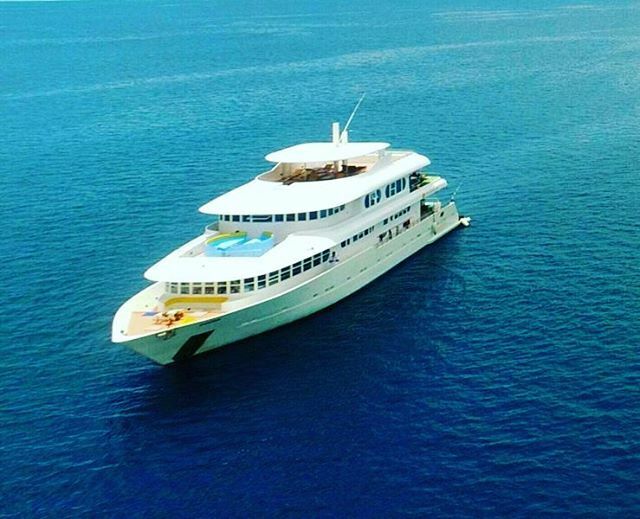 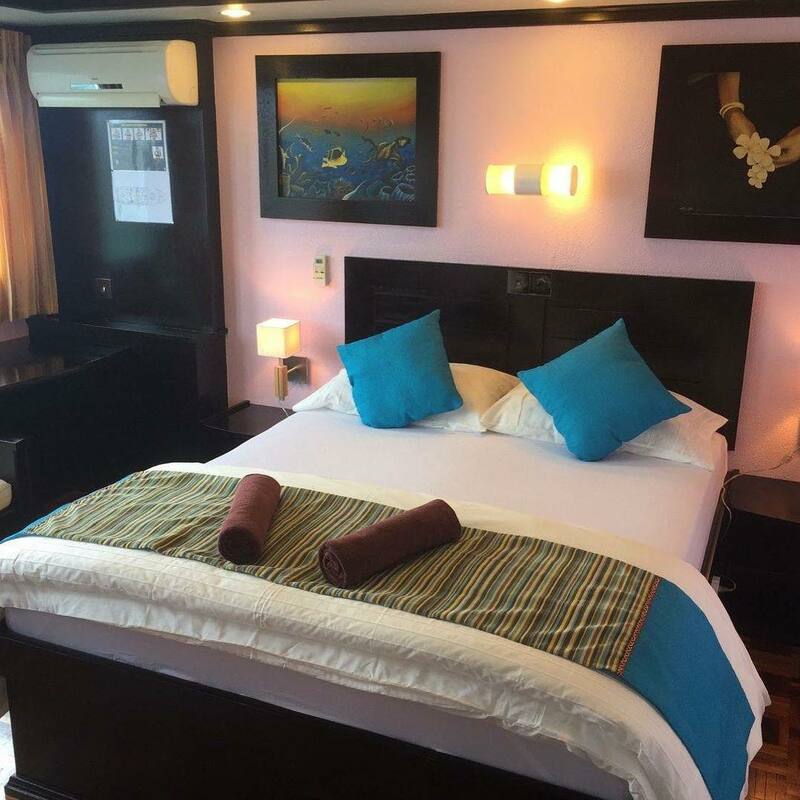 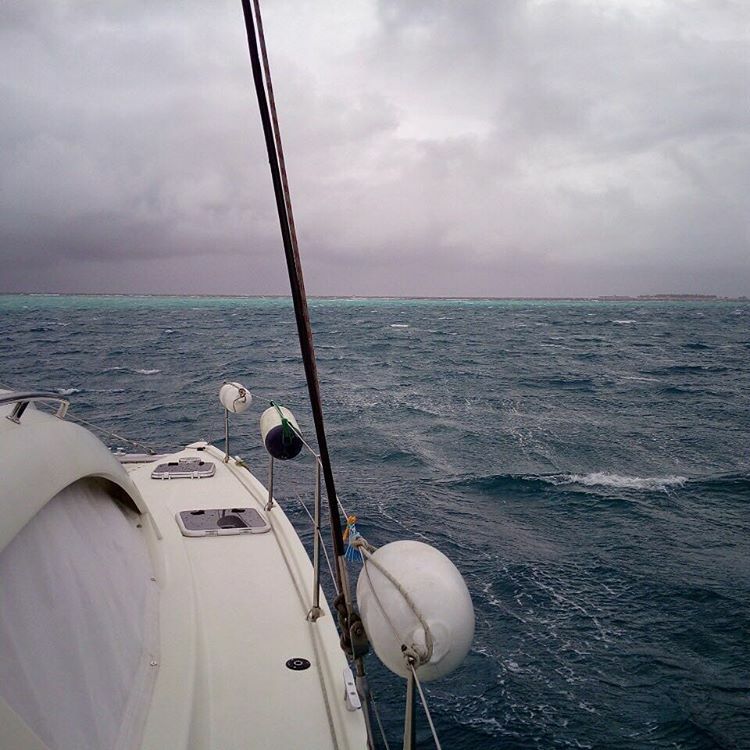 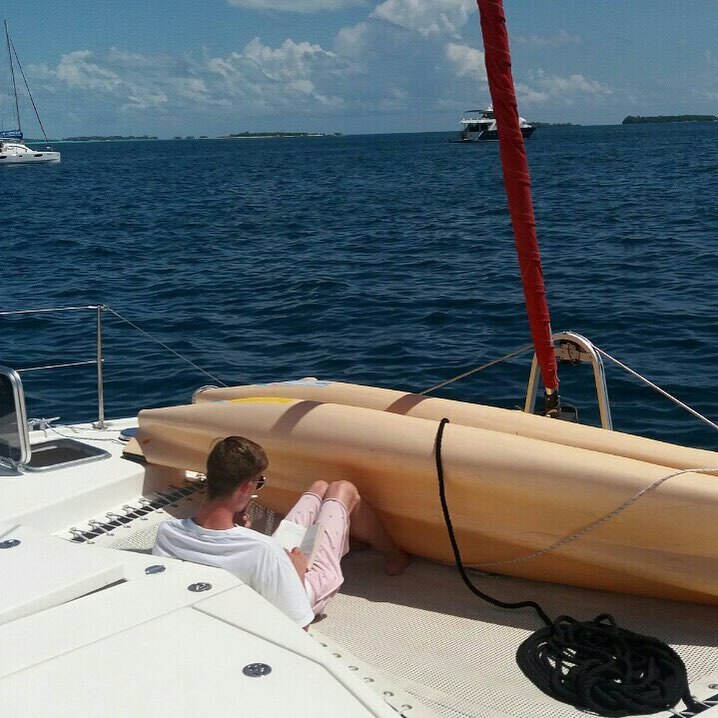 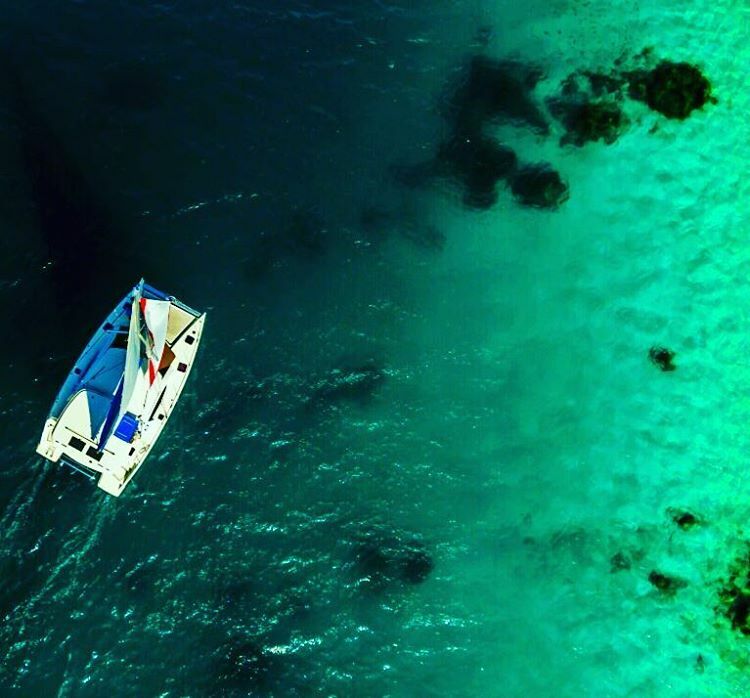 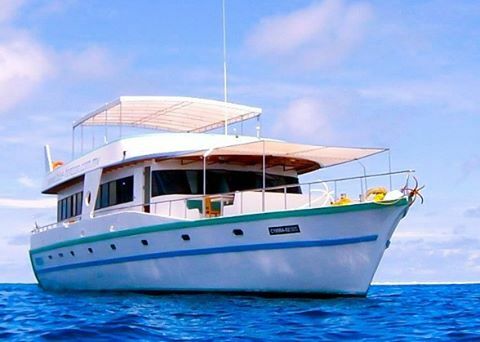 Spending a couple of days on a liveaboard is a great way to increase the chances of seeing a whale shark. 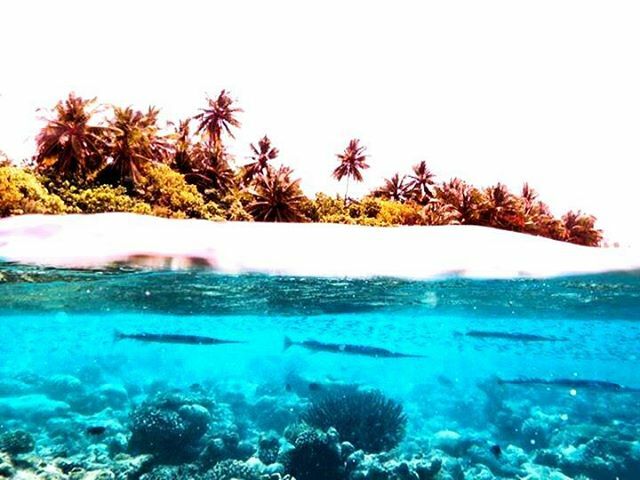 Whale sharks, and sharks in general, are protected in the Maldives. 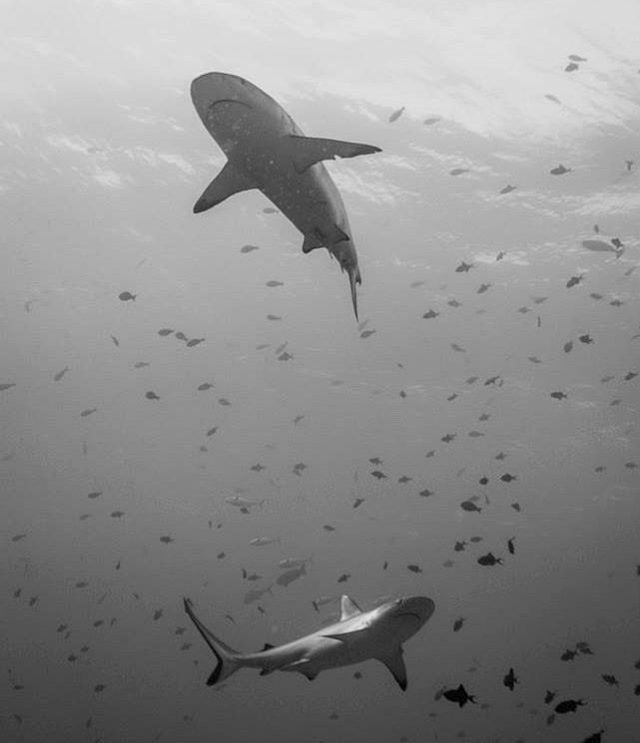 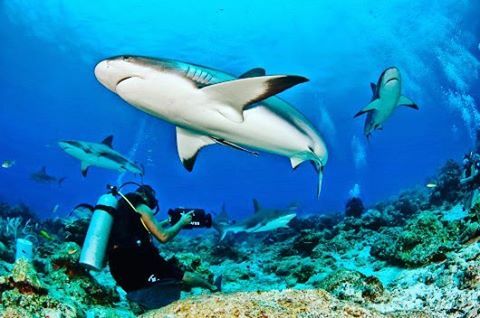 Killing or capturing sharks is banned. 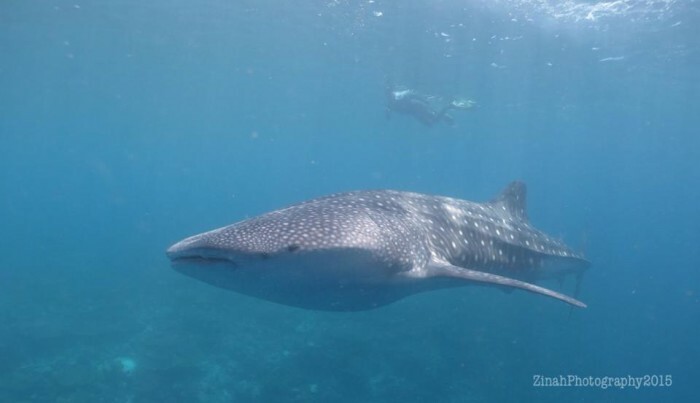 It is also important to adhere to the guidelines in place for whale shark encounters while swimming with whale sharks. 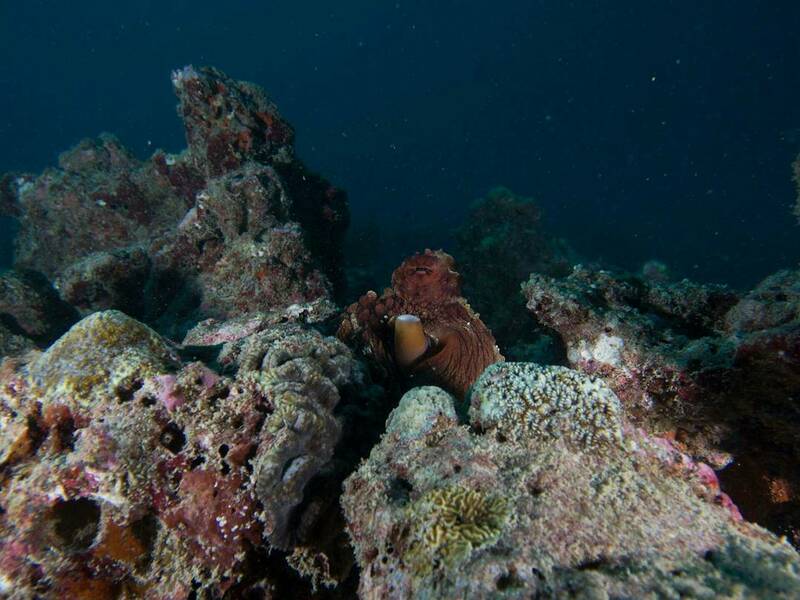 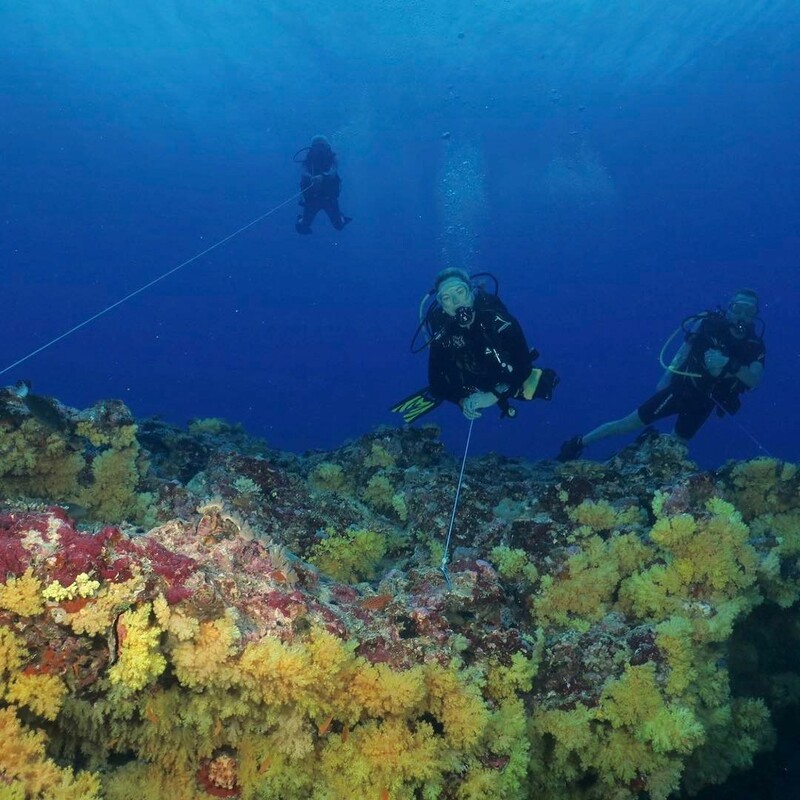 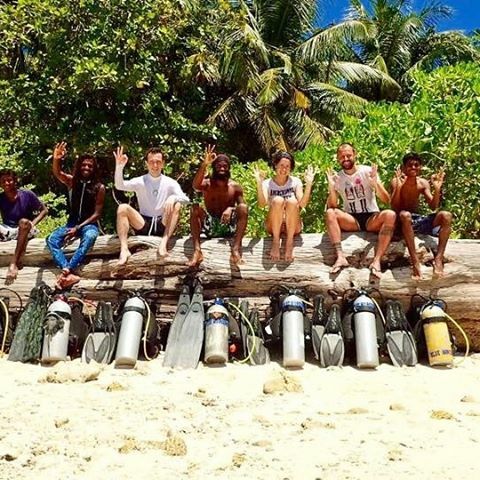 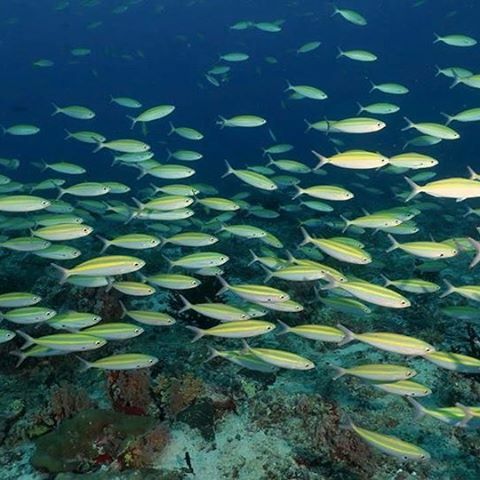 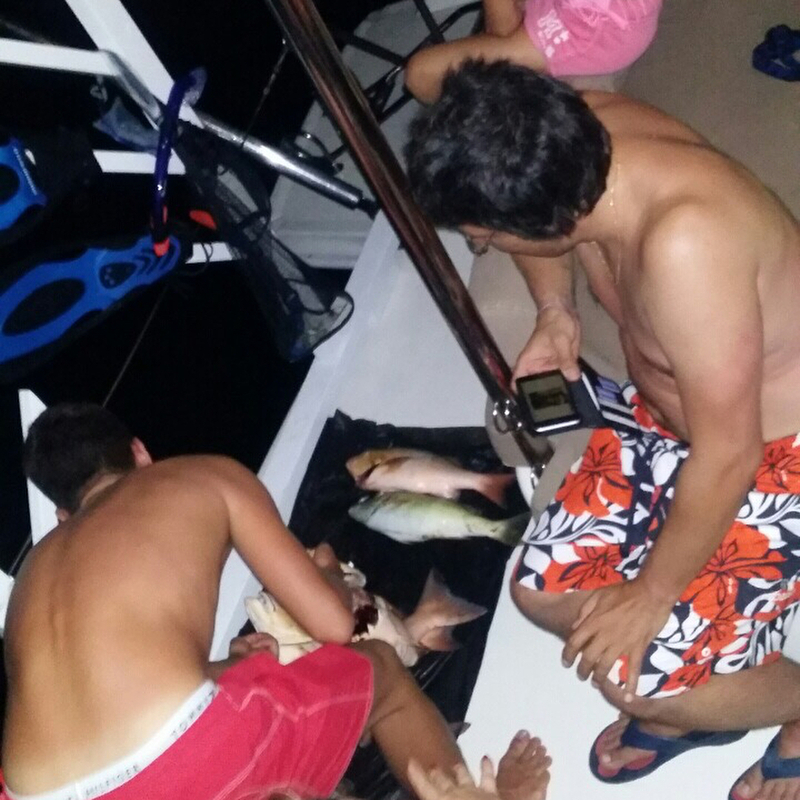 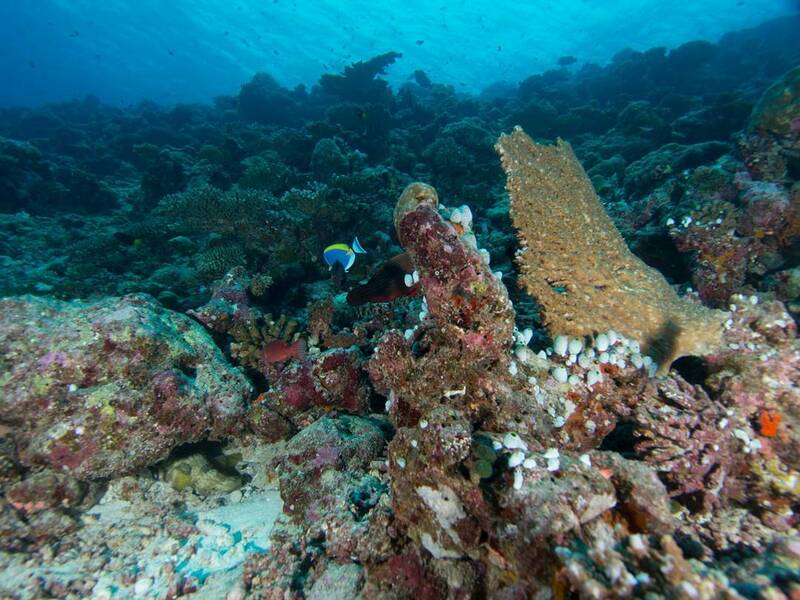 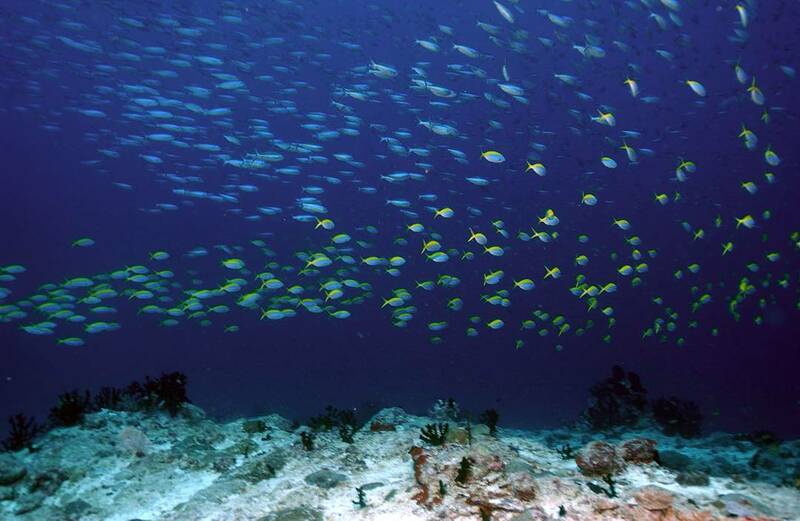 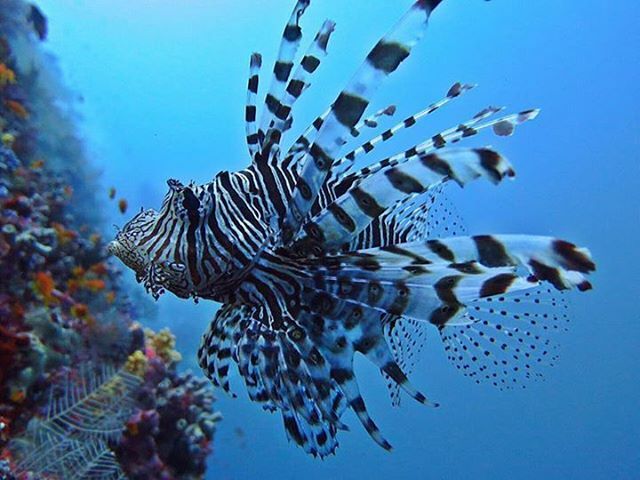 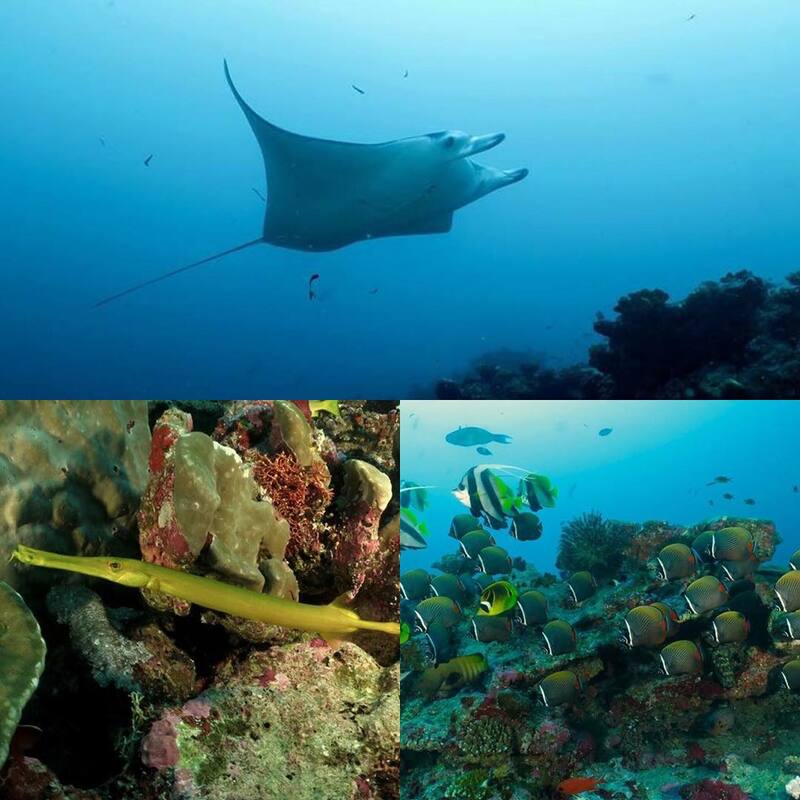 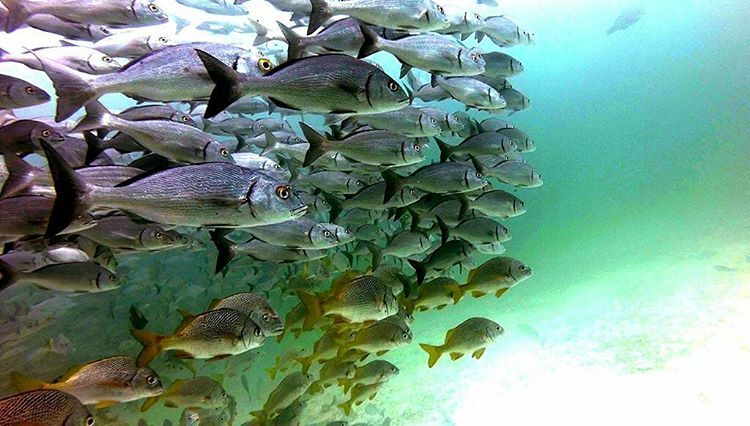 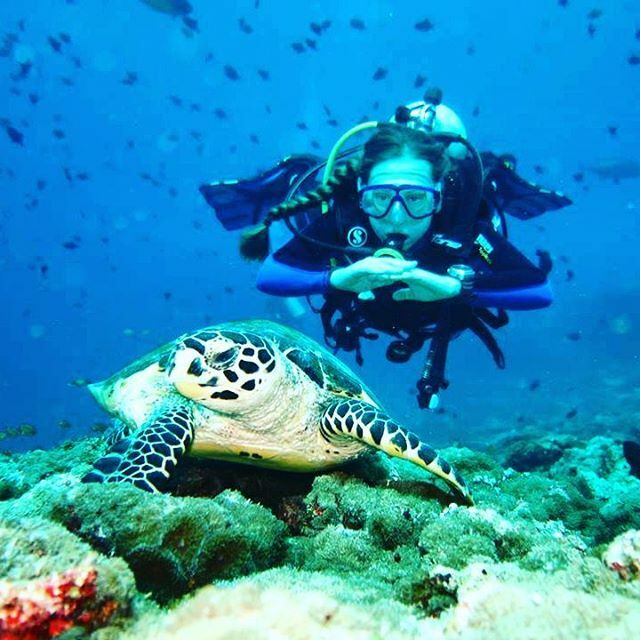 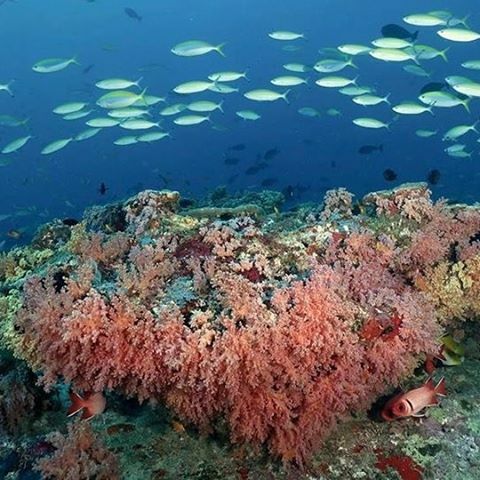 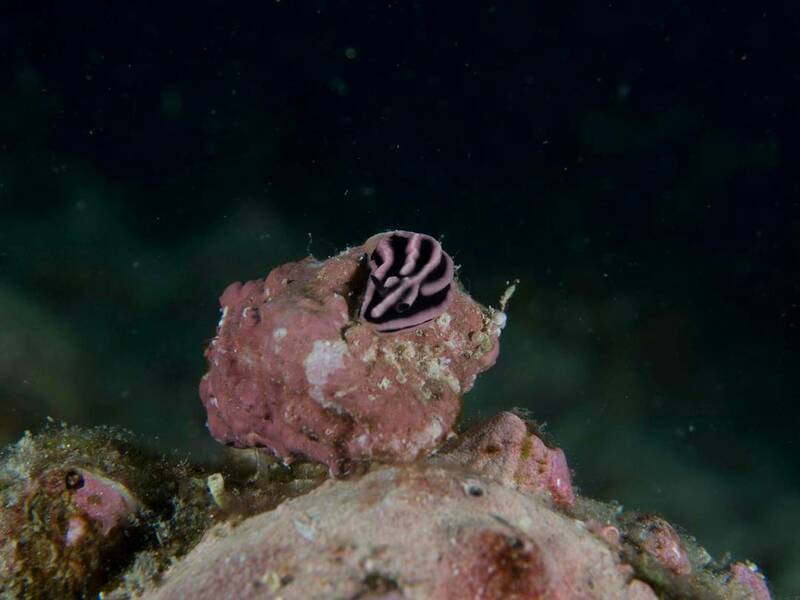 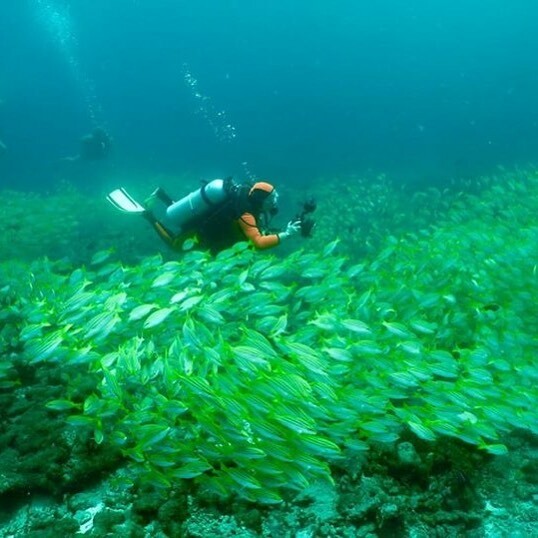 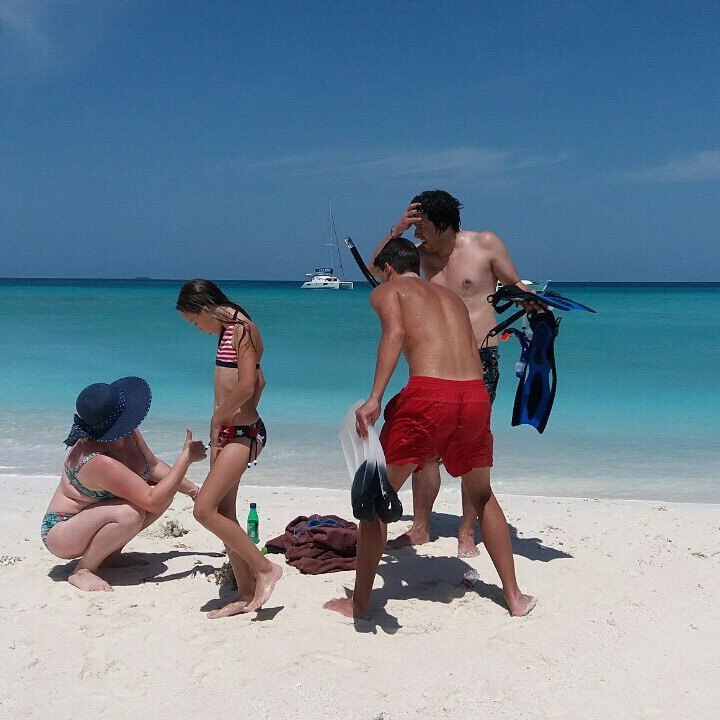 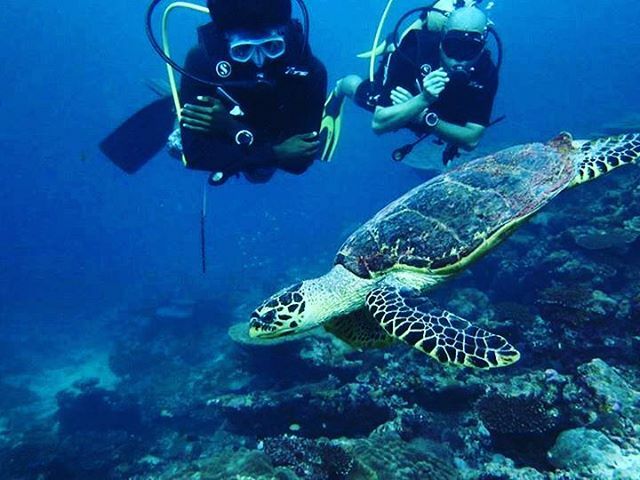 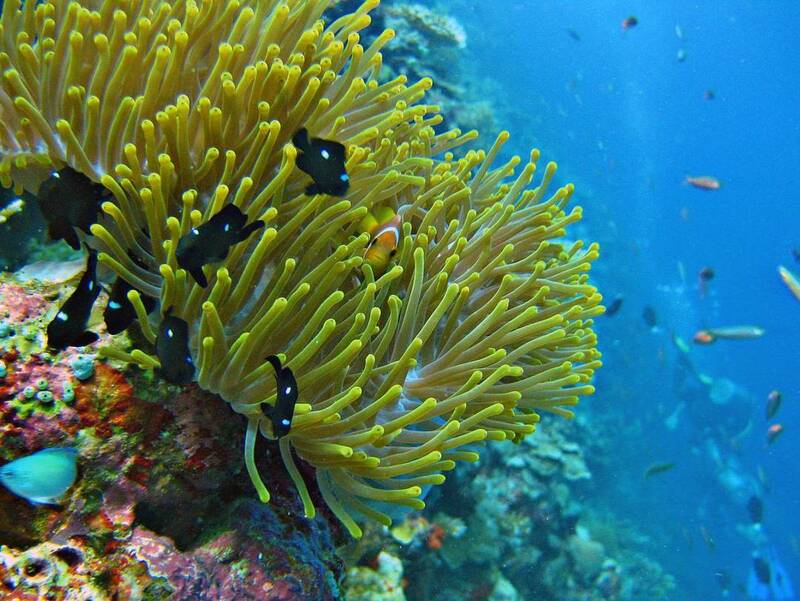 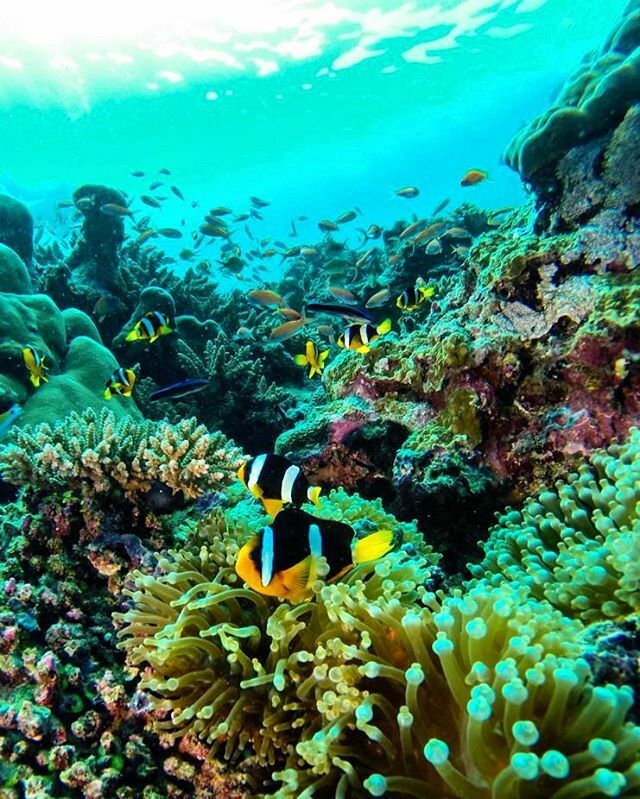 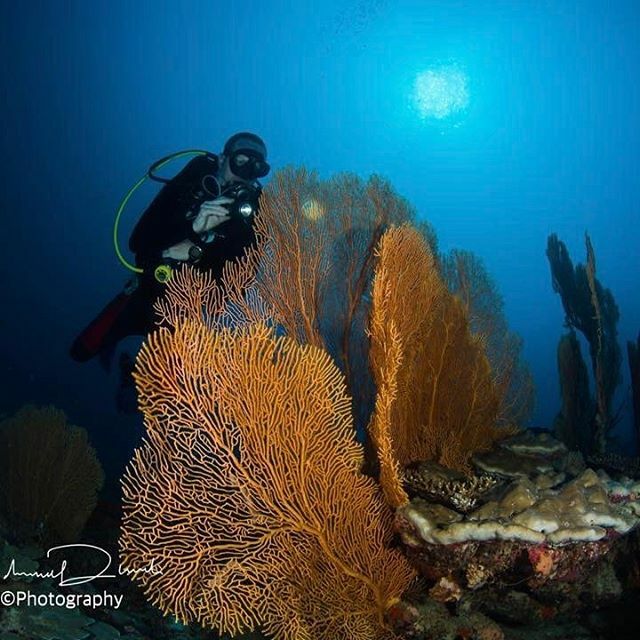 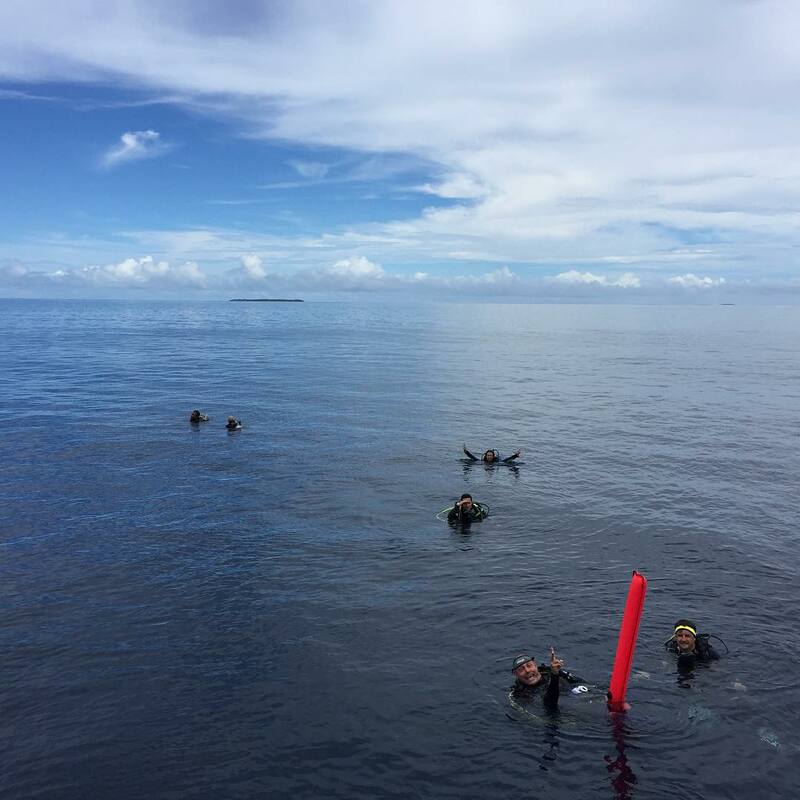 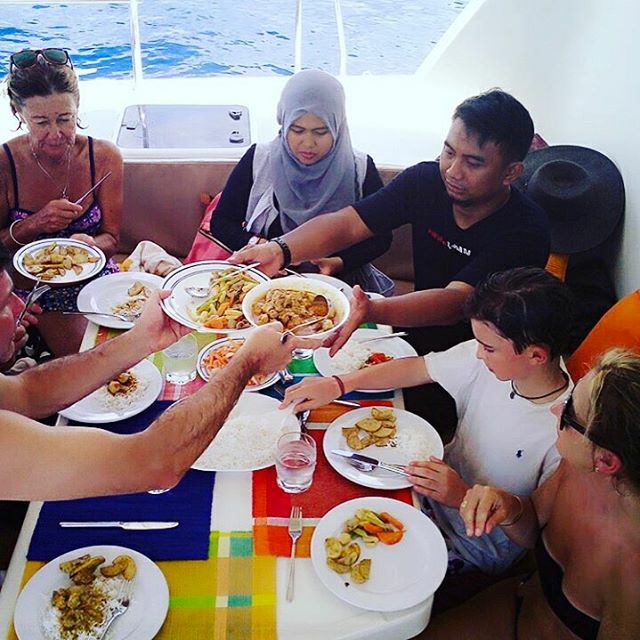 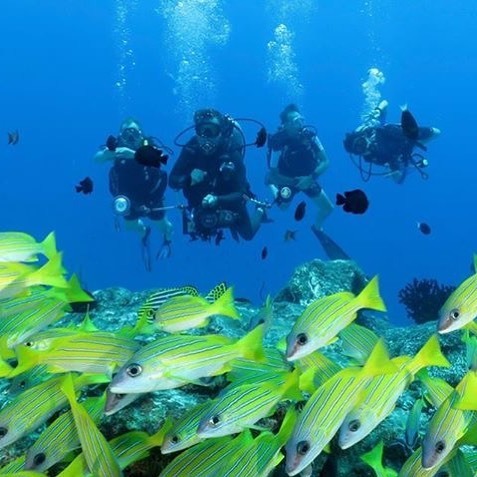 Dive with a purpose and contribute towards the environmental sustainability and coral reef protection. 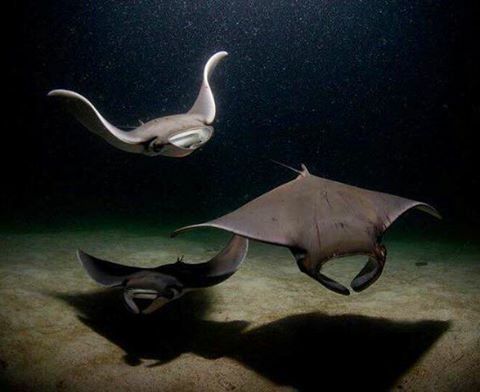 These giant majestic beautiful creatures are the most adorable animal underwater. 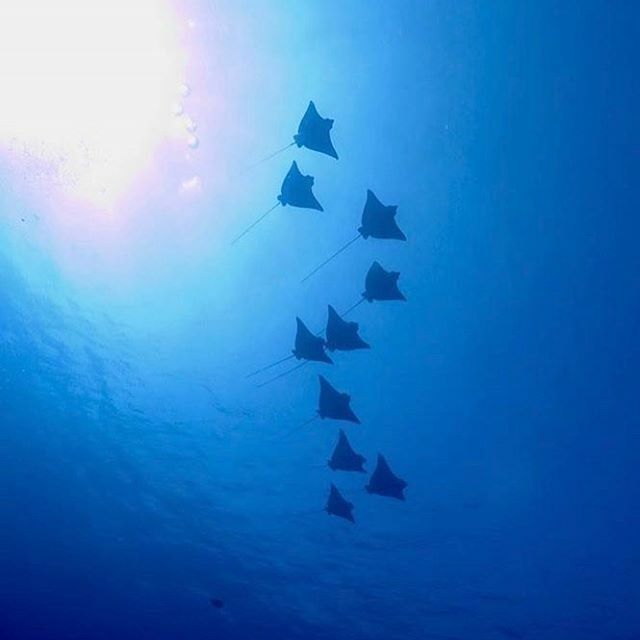 Diving with the manta rays is on everyone's bucket list 📝 lucky are those who get to dive with this beautiful creature. 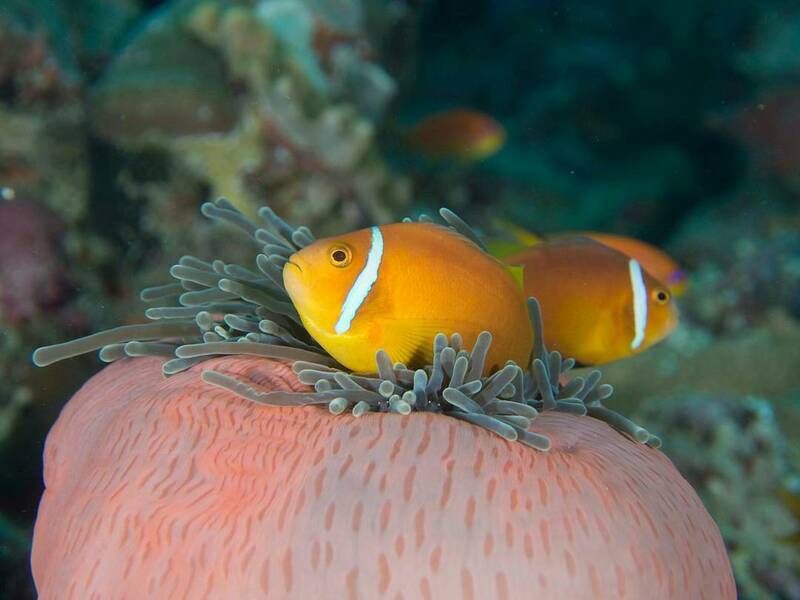 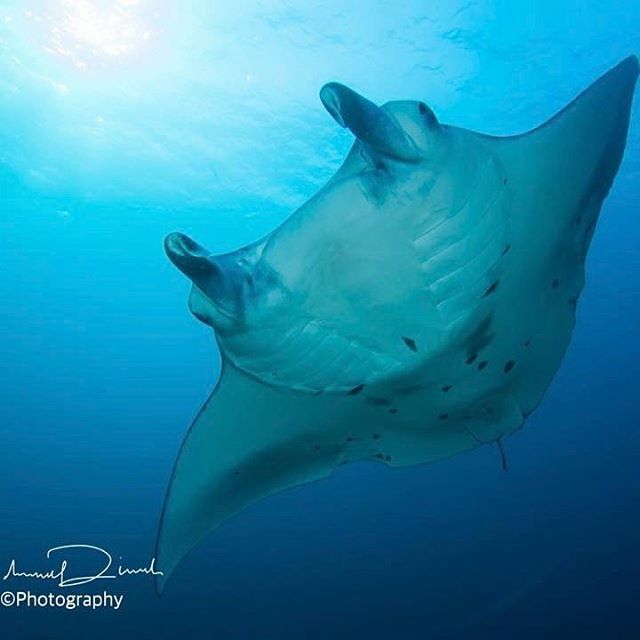 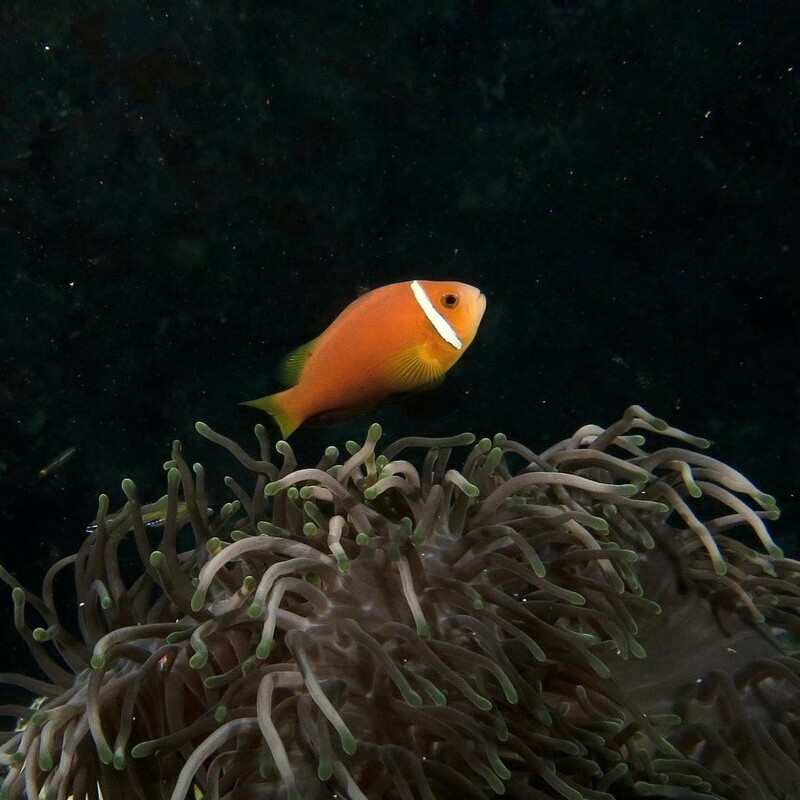 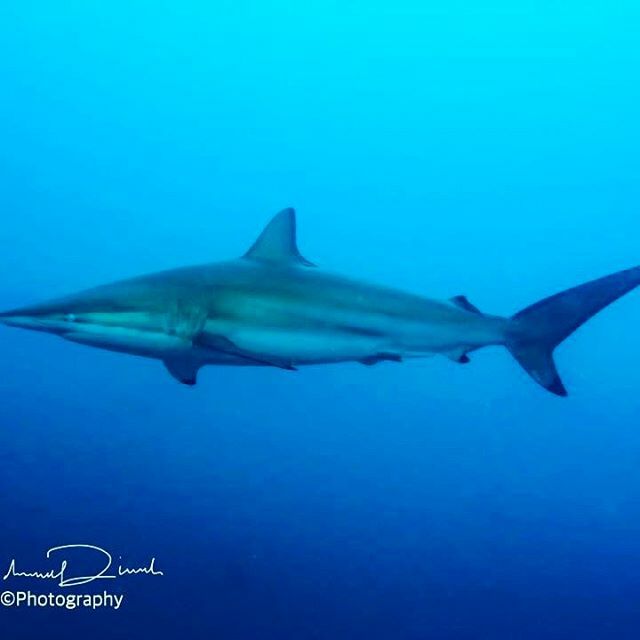 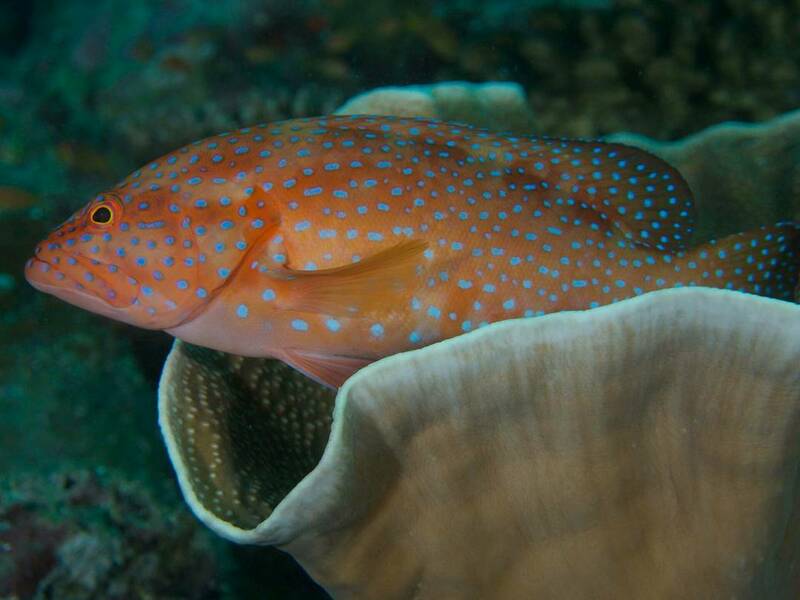 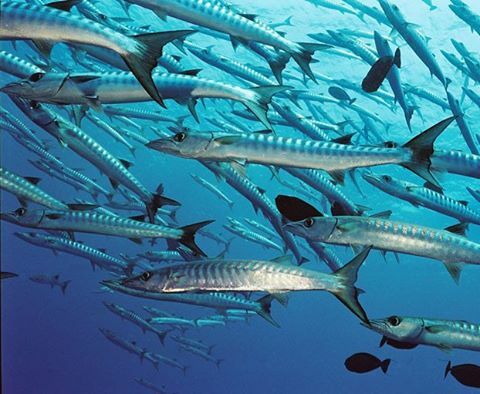 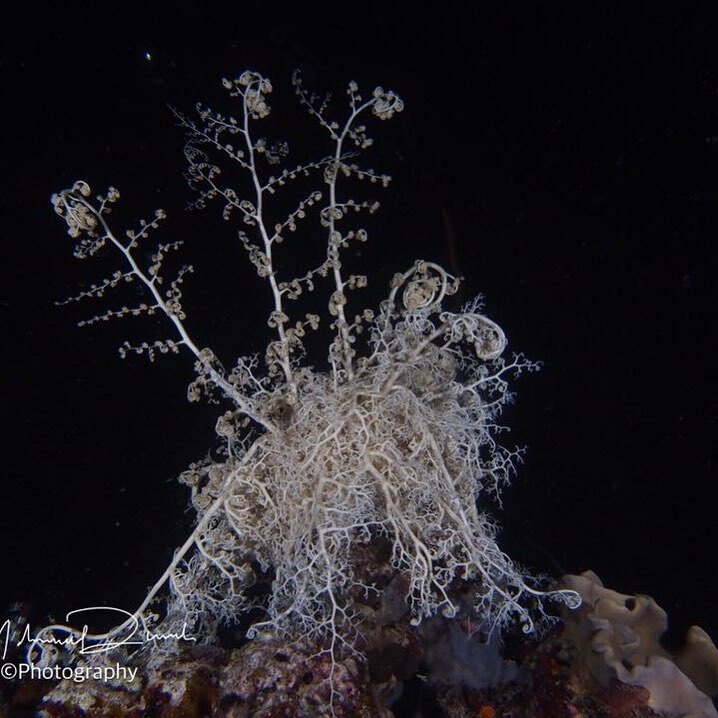 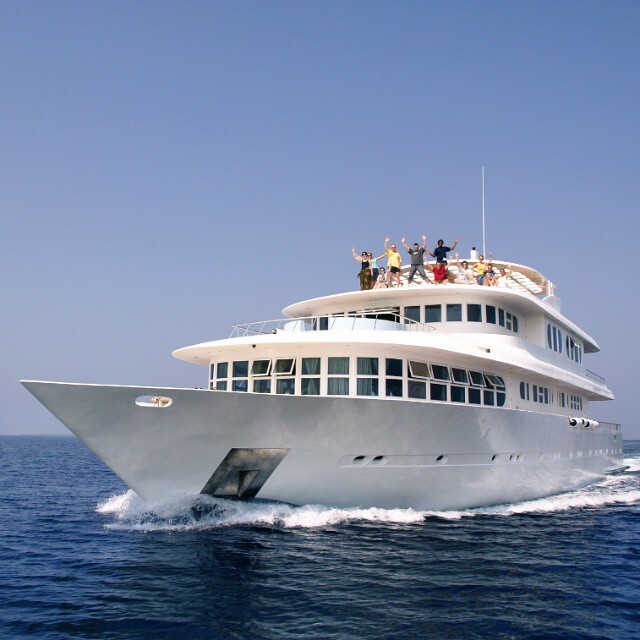 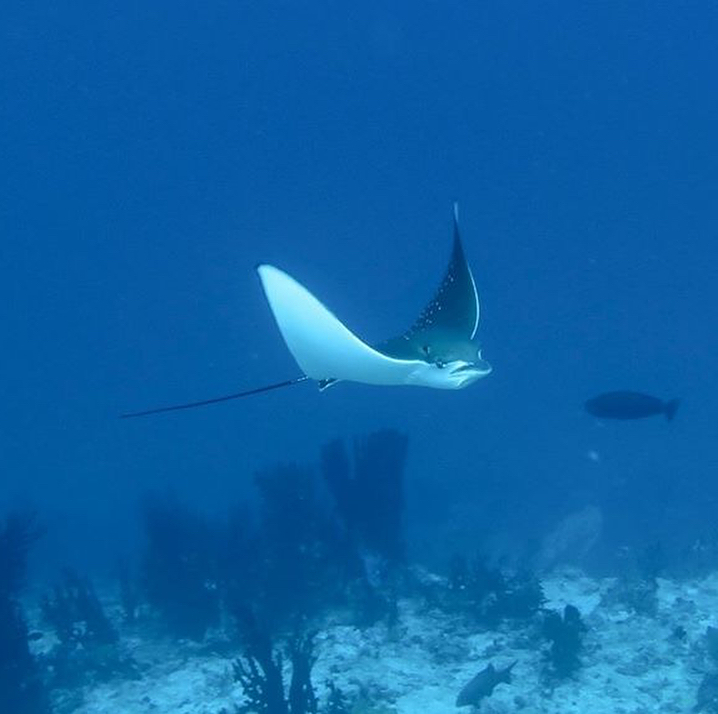 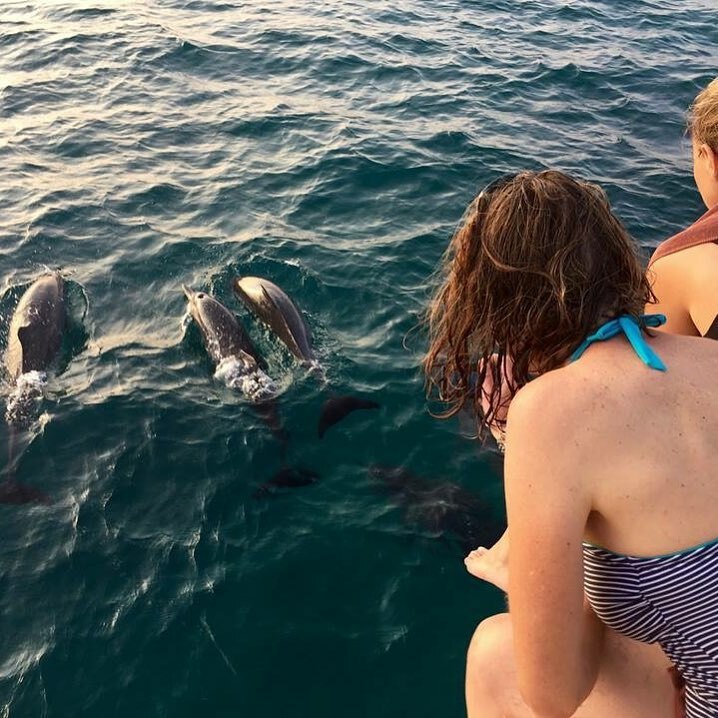 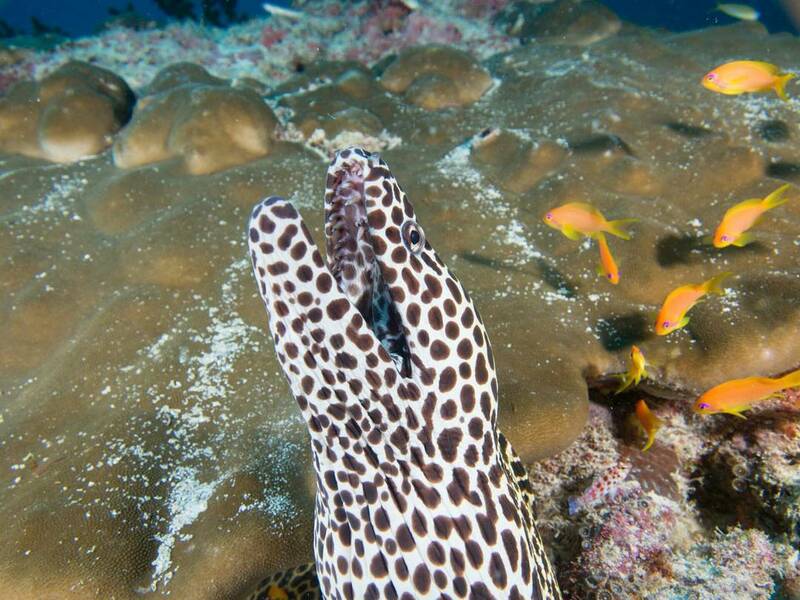 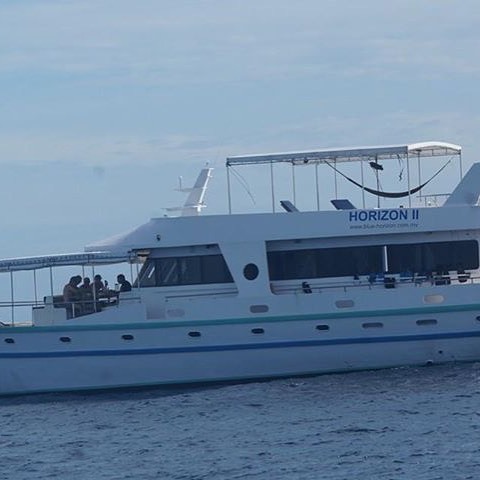 Come Join us for an unforgettable trip with Horizon III and explore the ocean habitat! 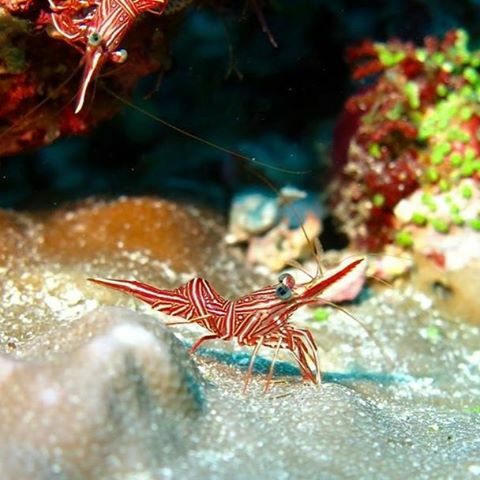 Mantis shrimps, this feather weighted colorful shrimp with big eyes has the fastest punch of any animal. 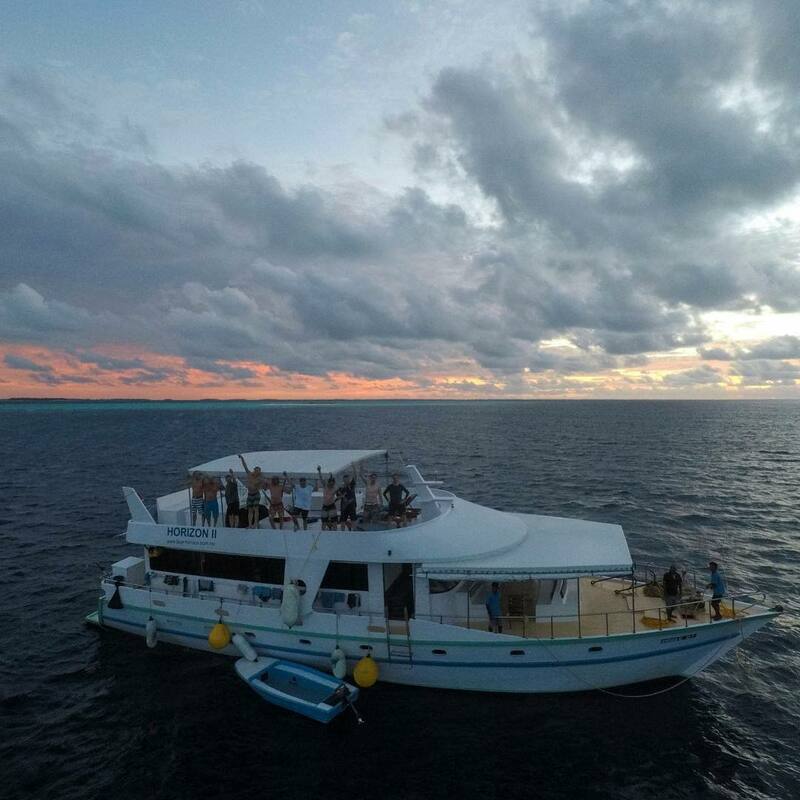 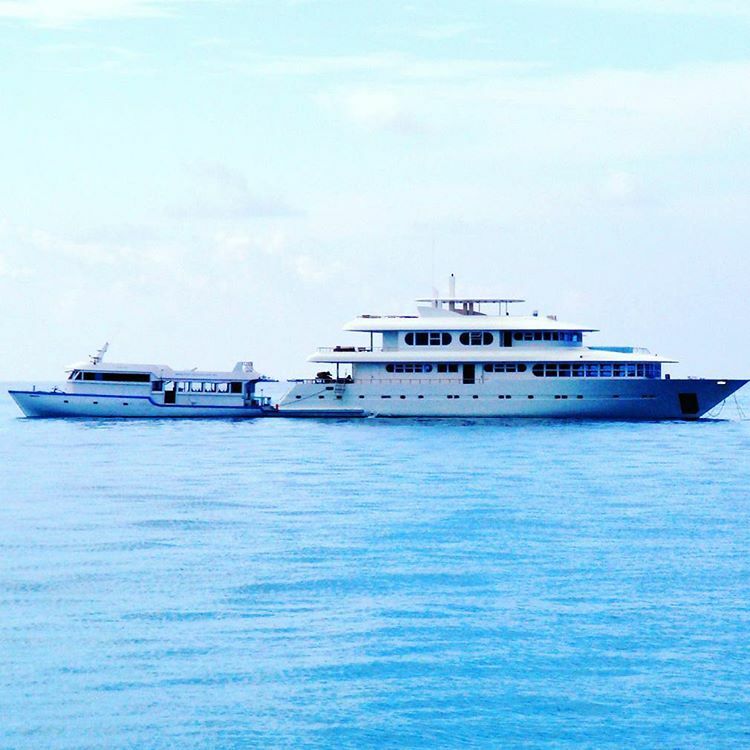 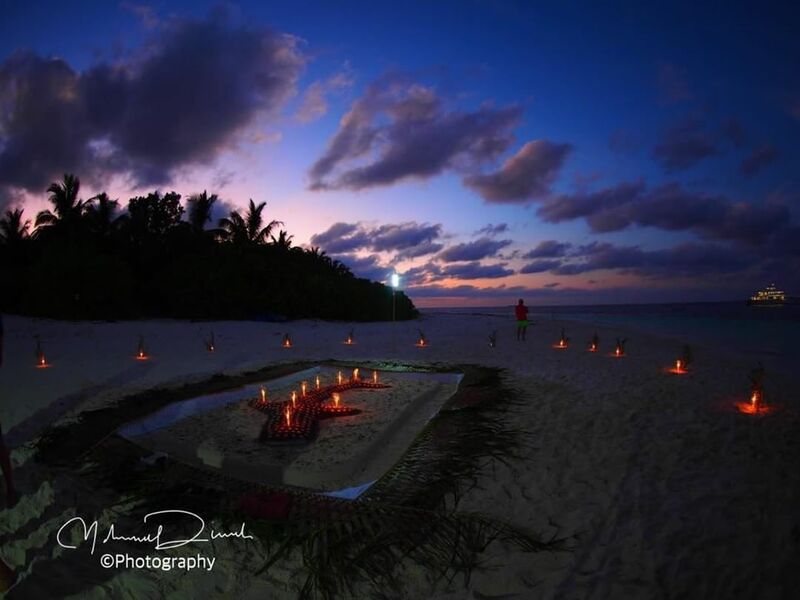 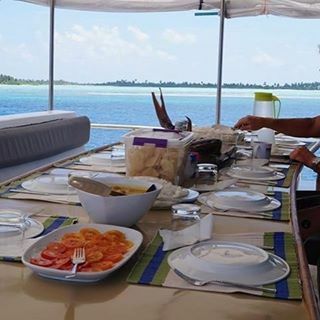 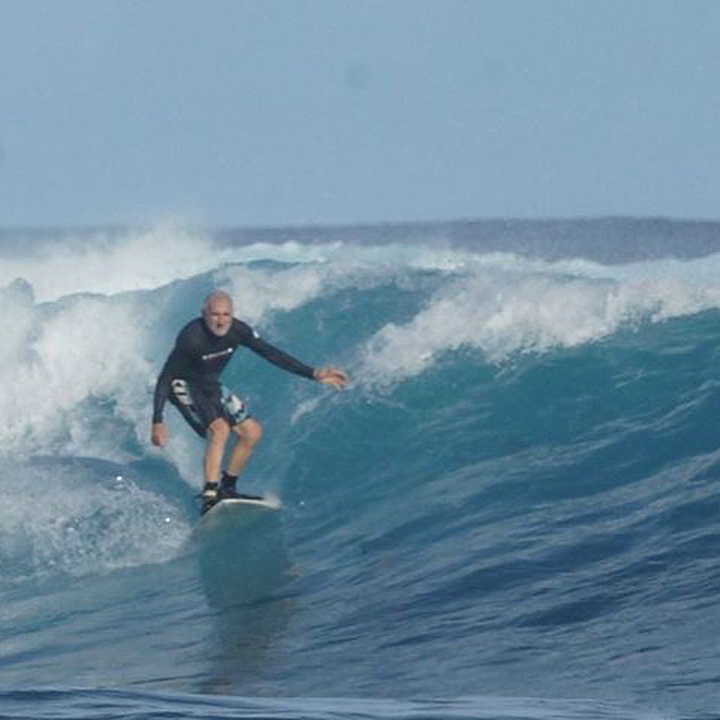 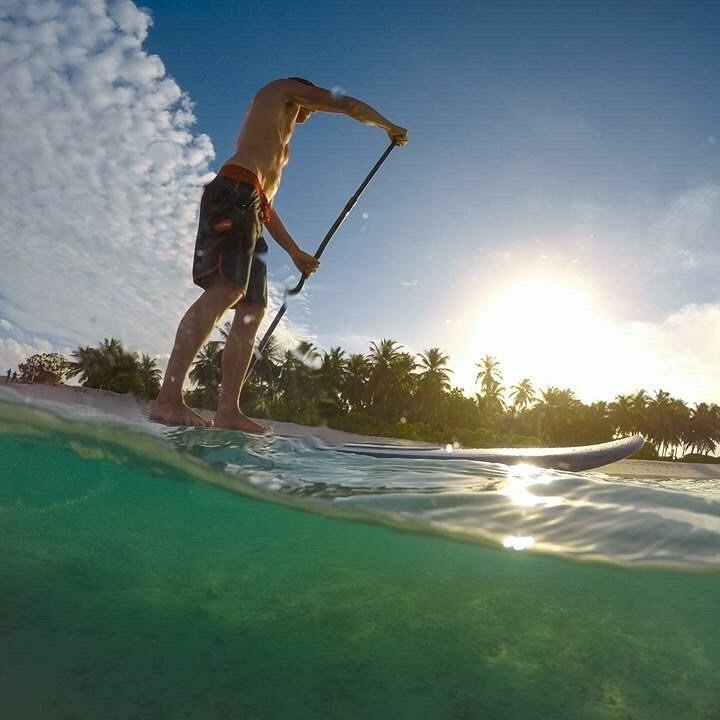 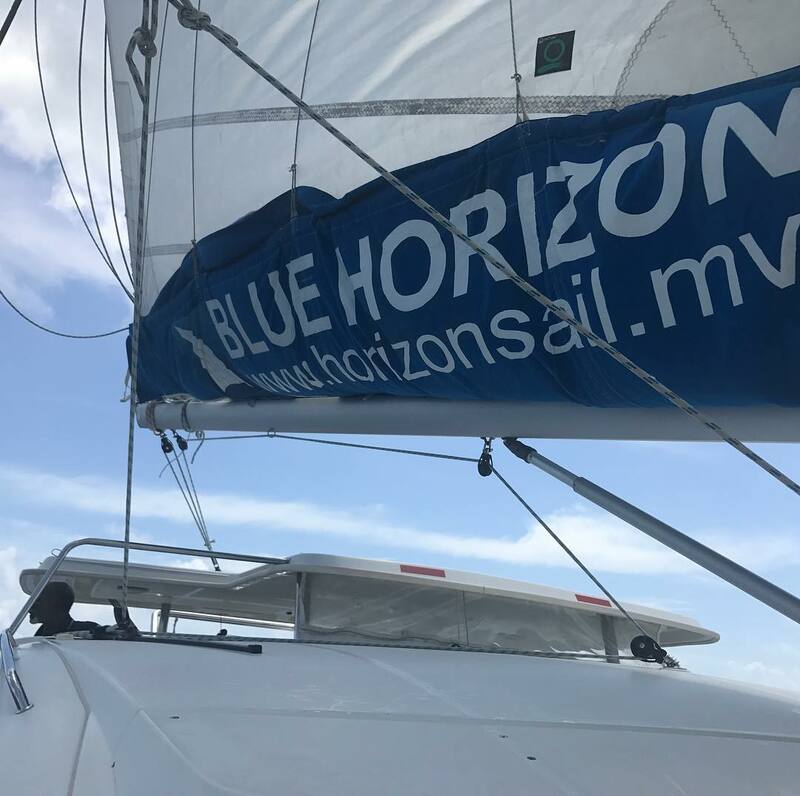 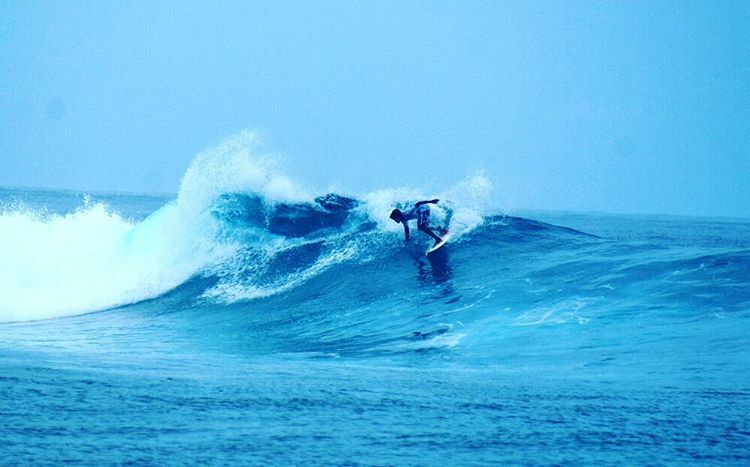 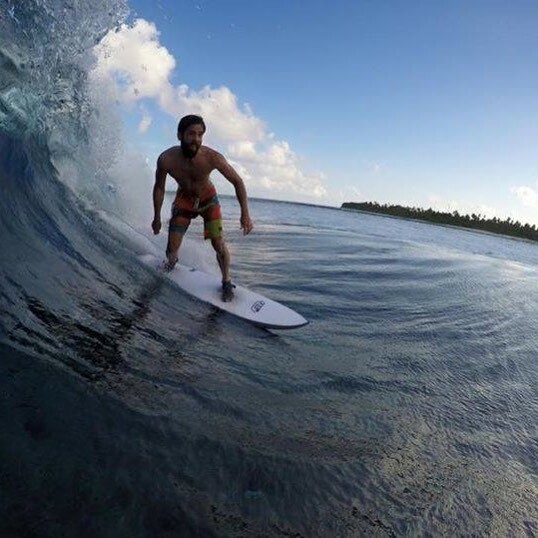 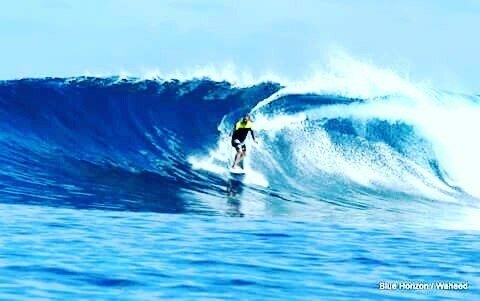 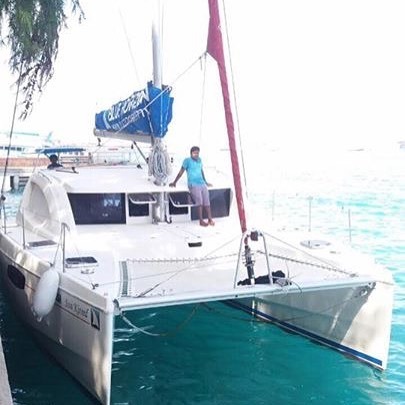 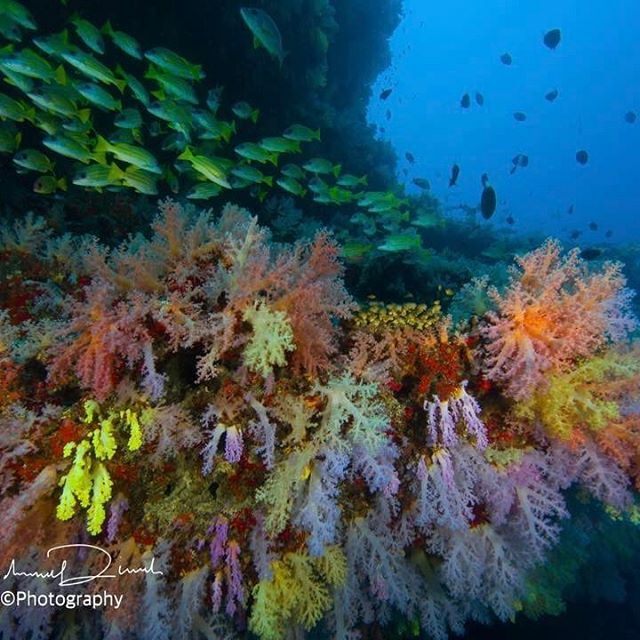 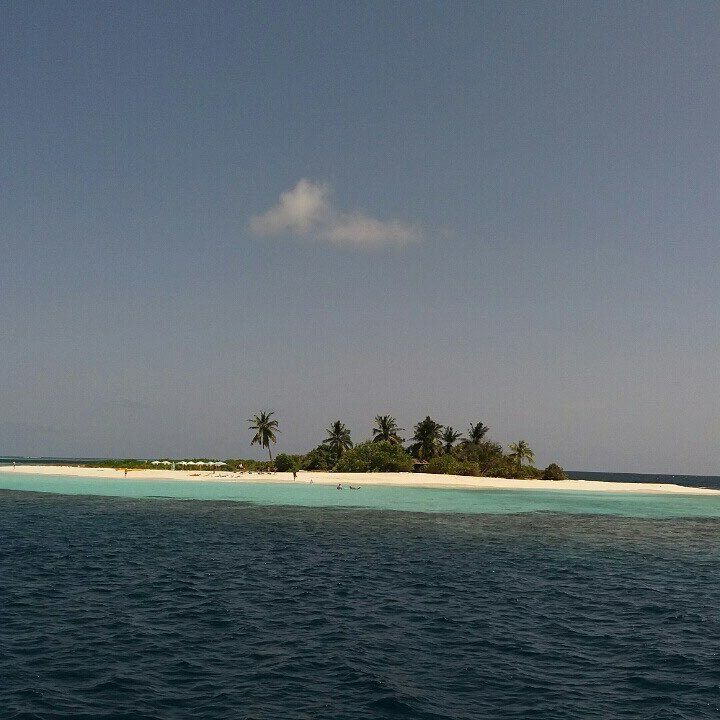 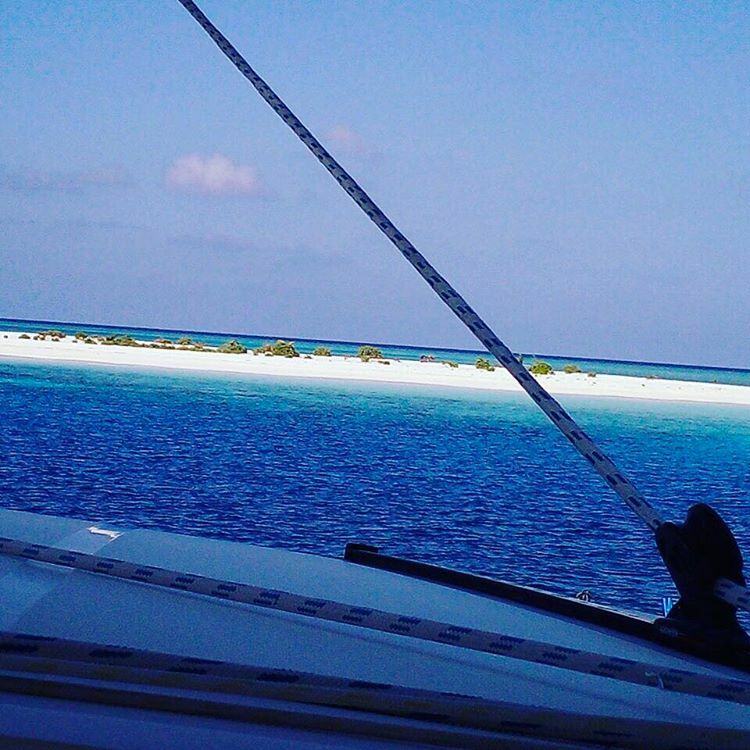 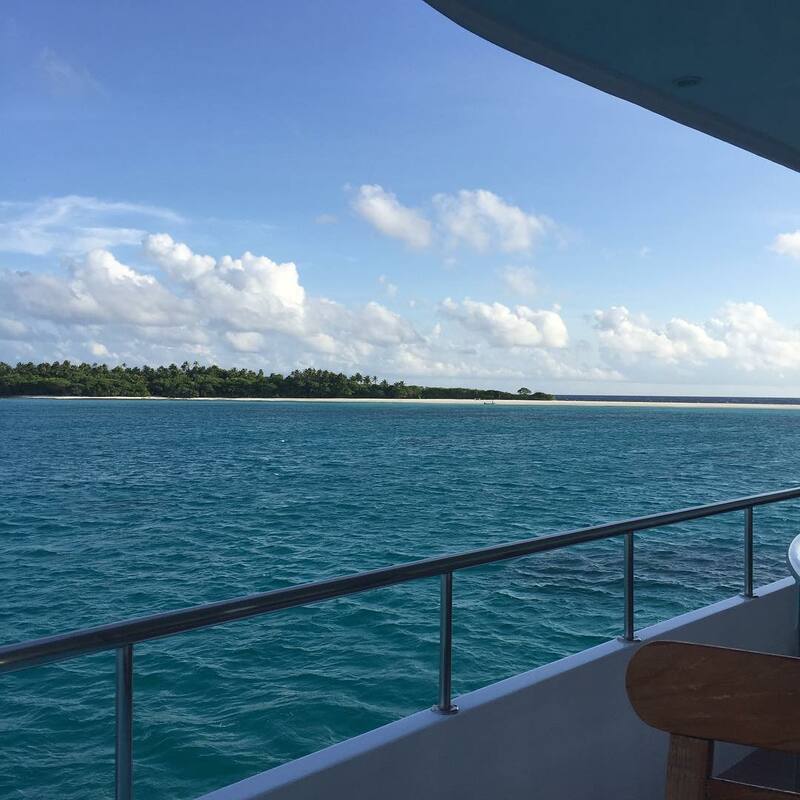 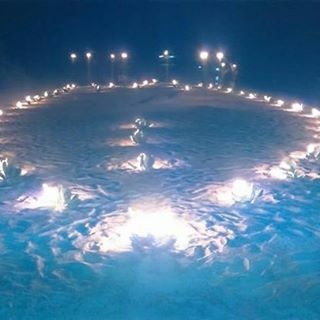 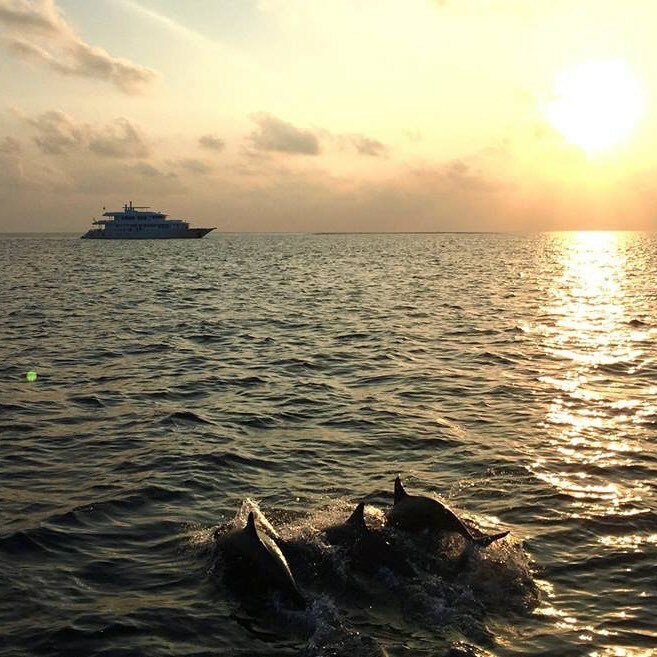 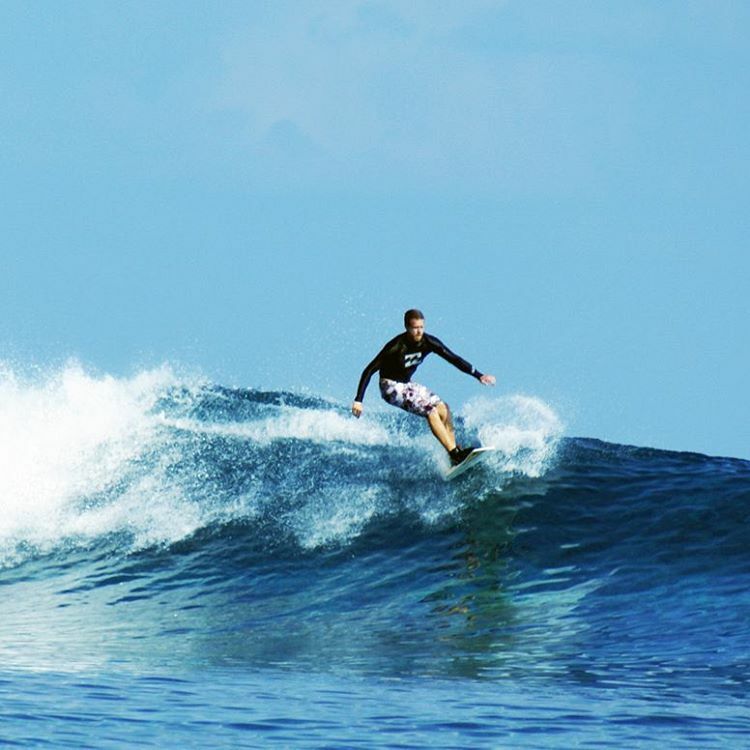 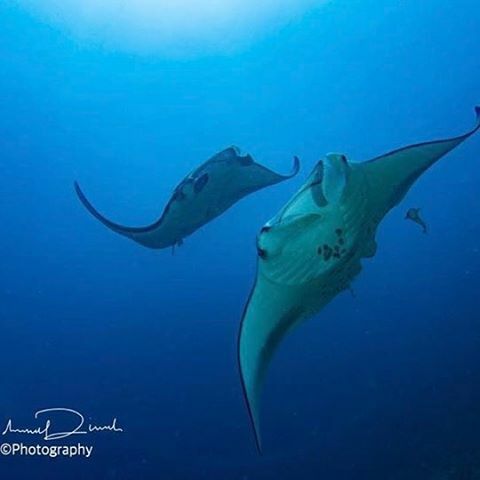 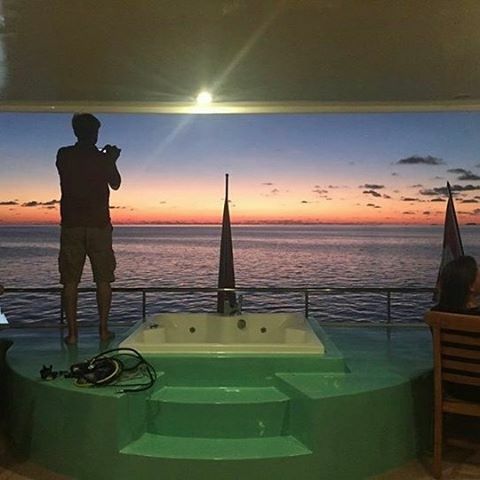 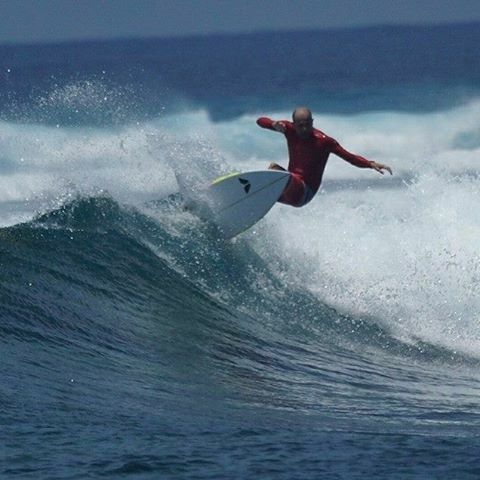 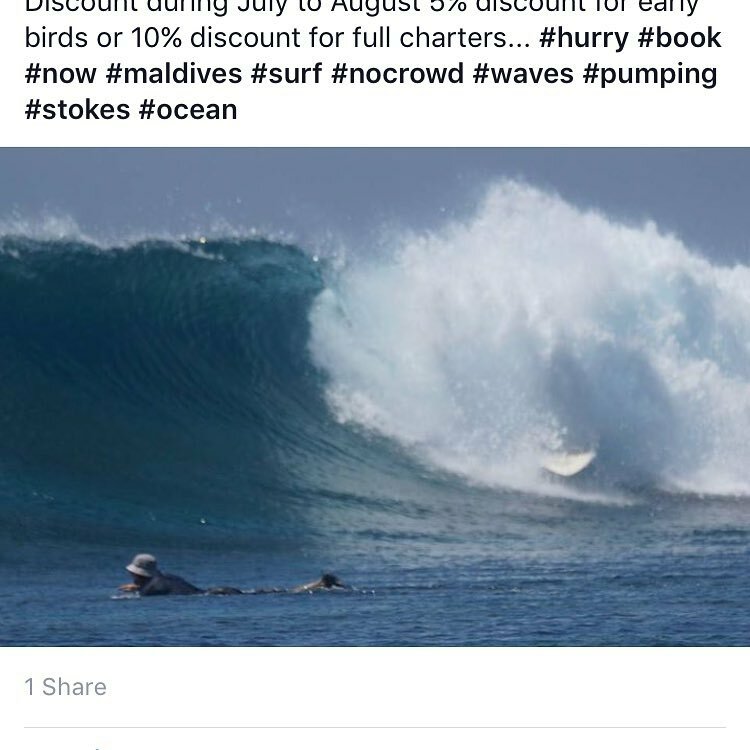 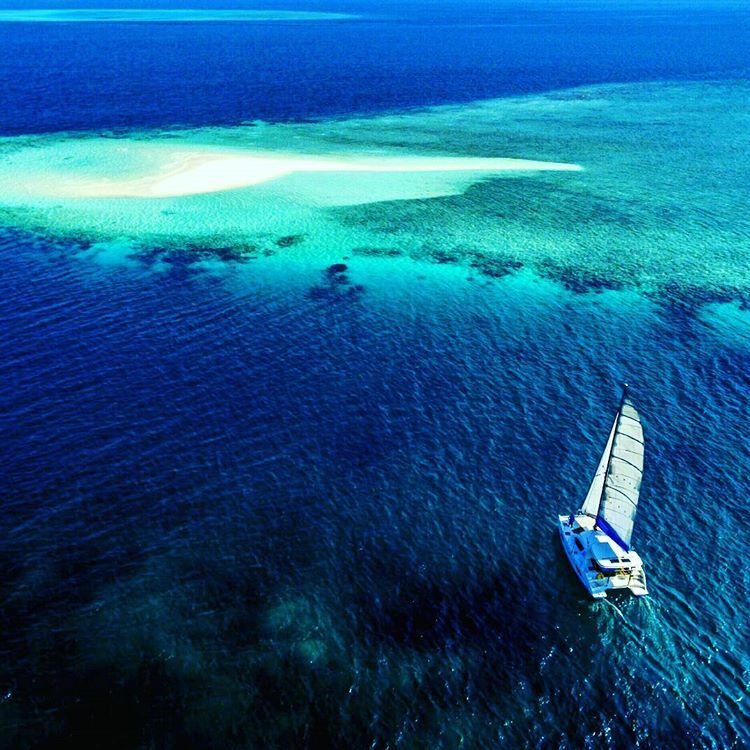 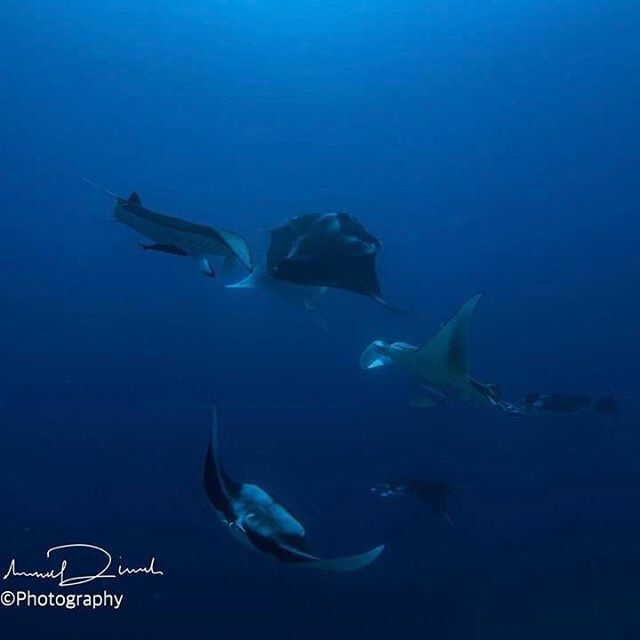 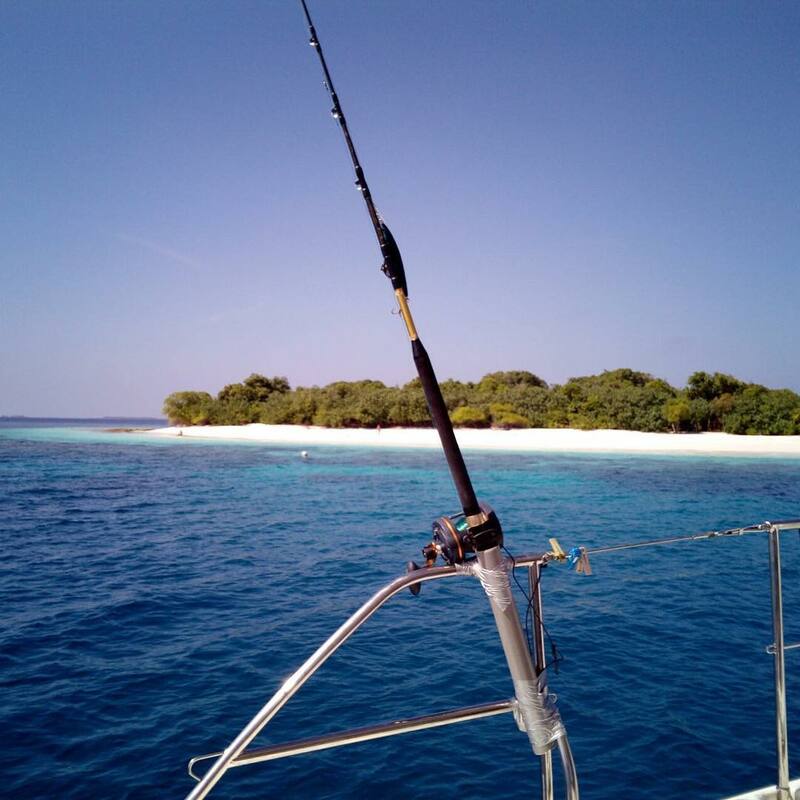 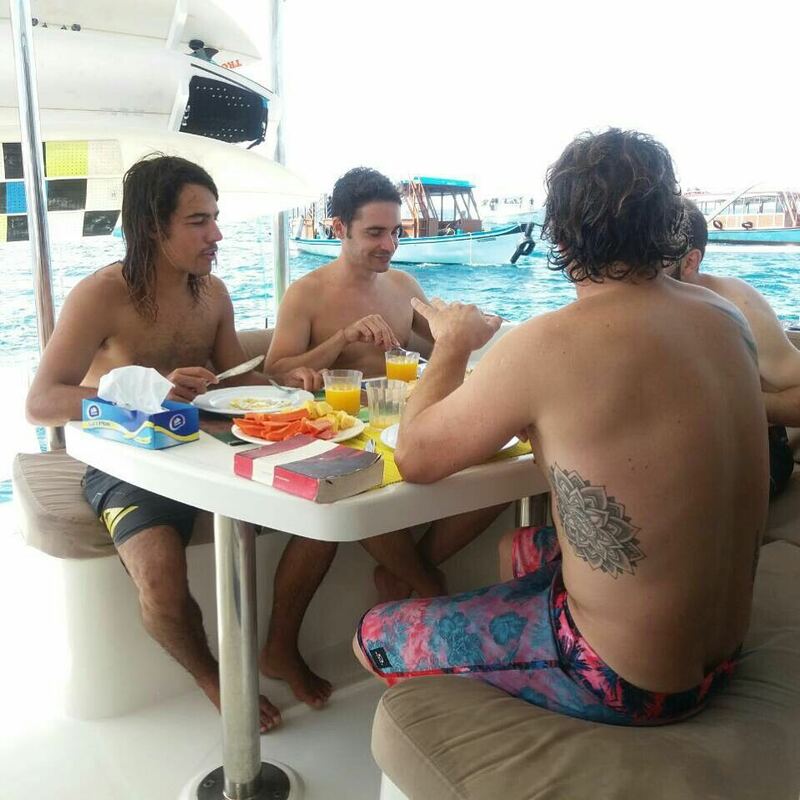 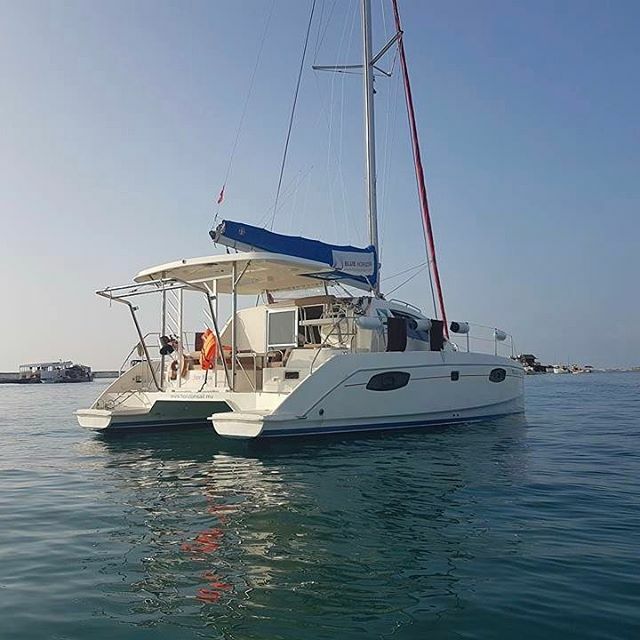 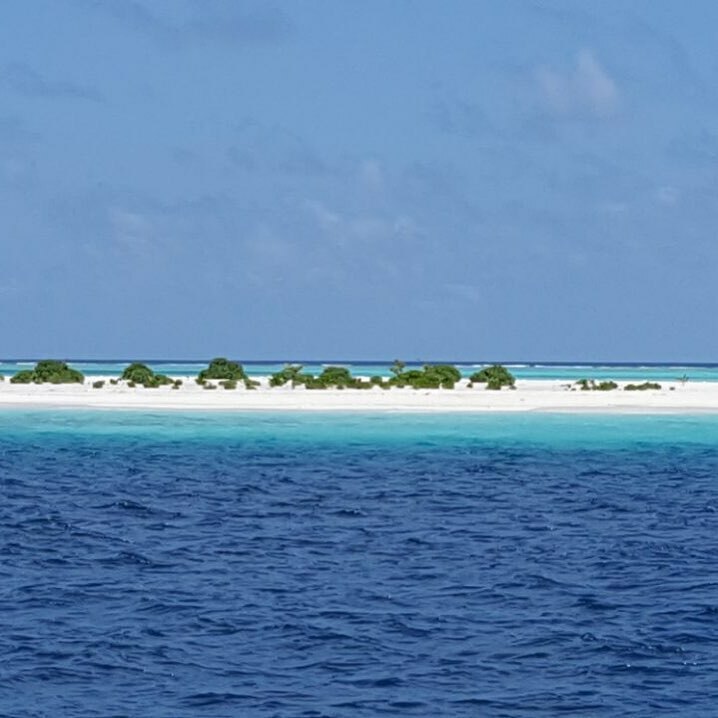 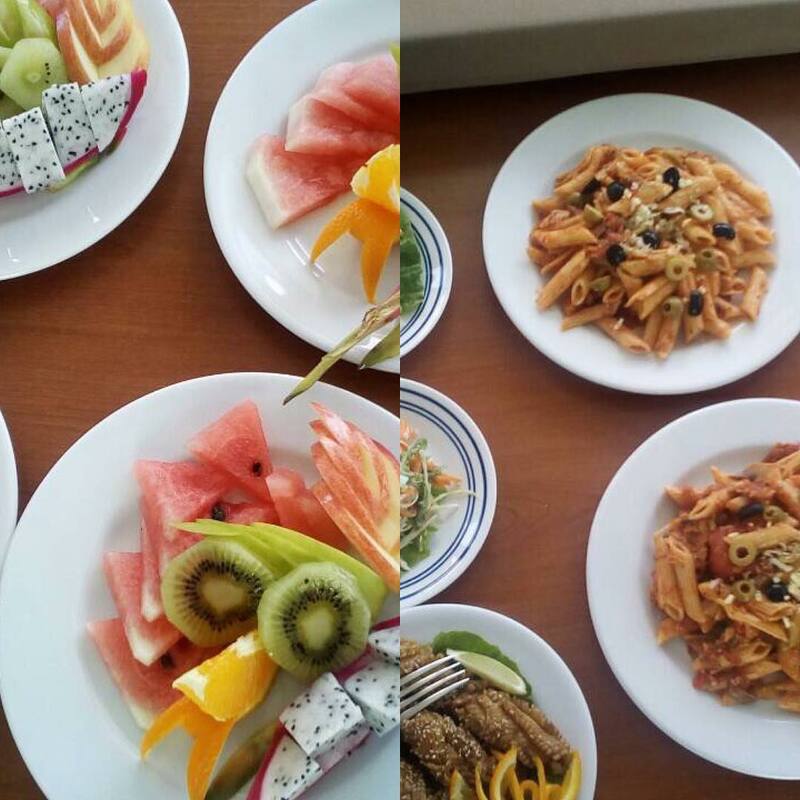 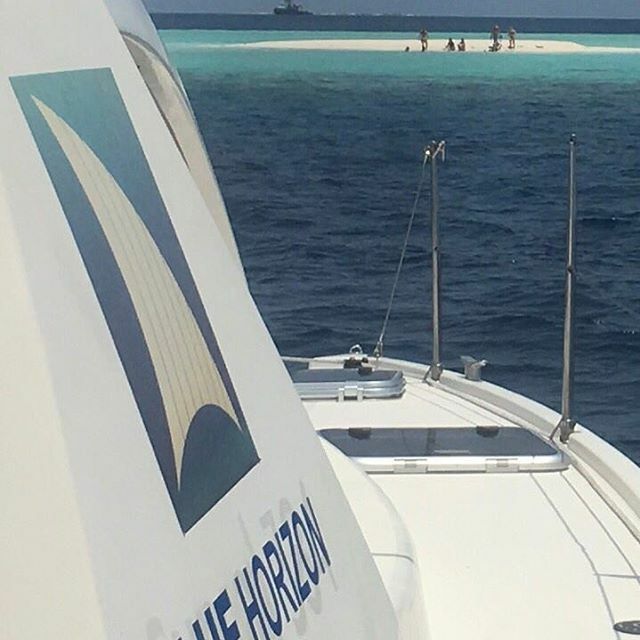 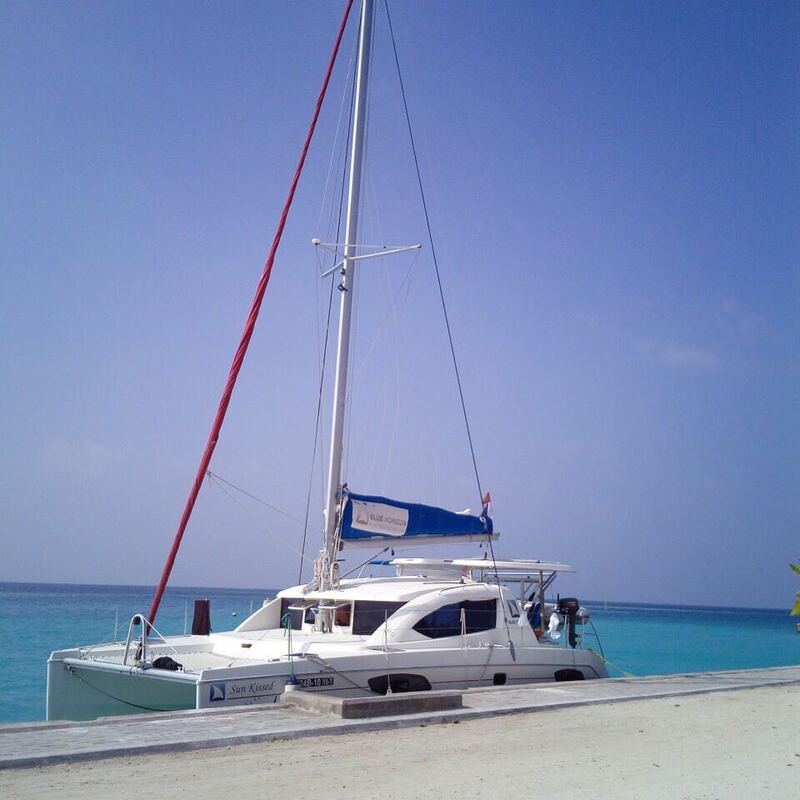 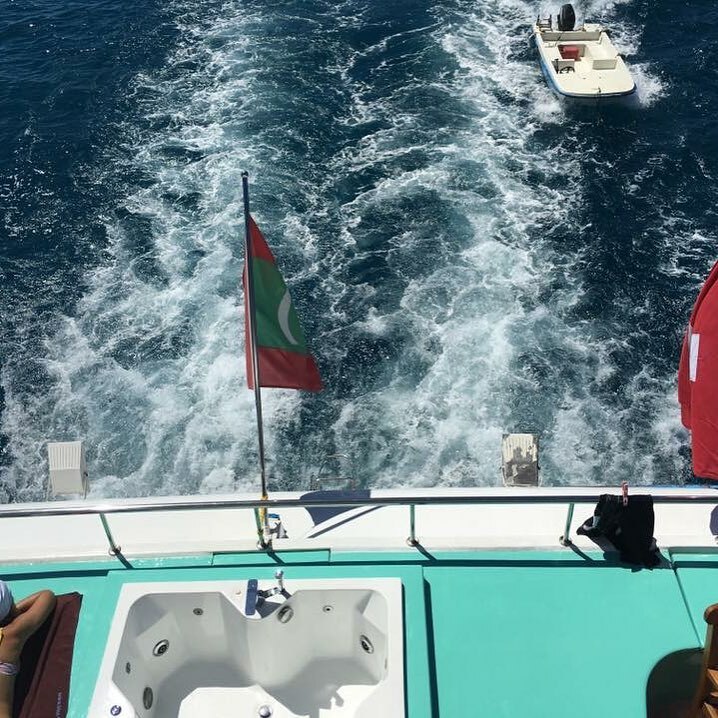 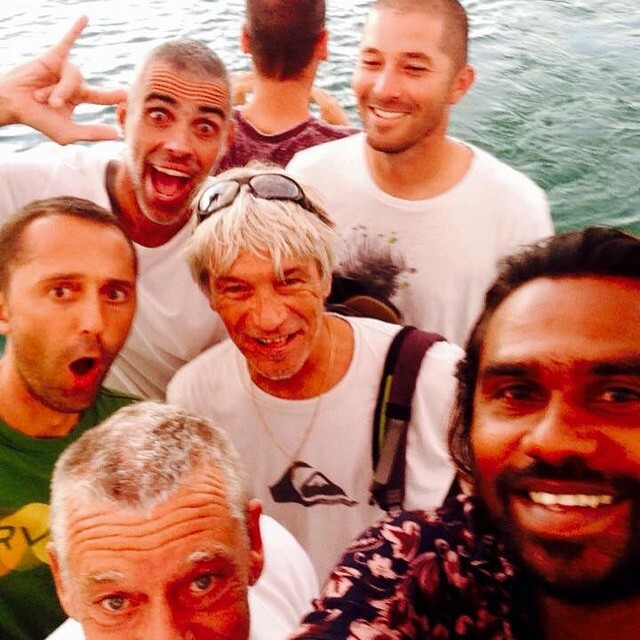 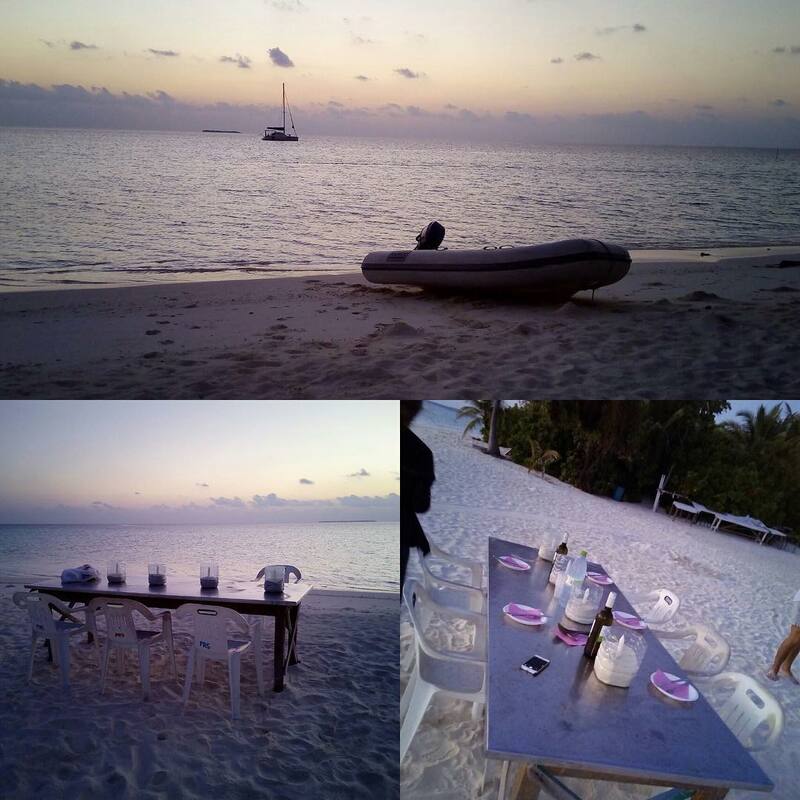 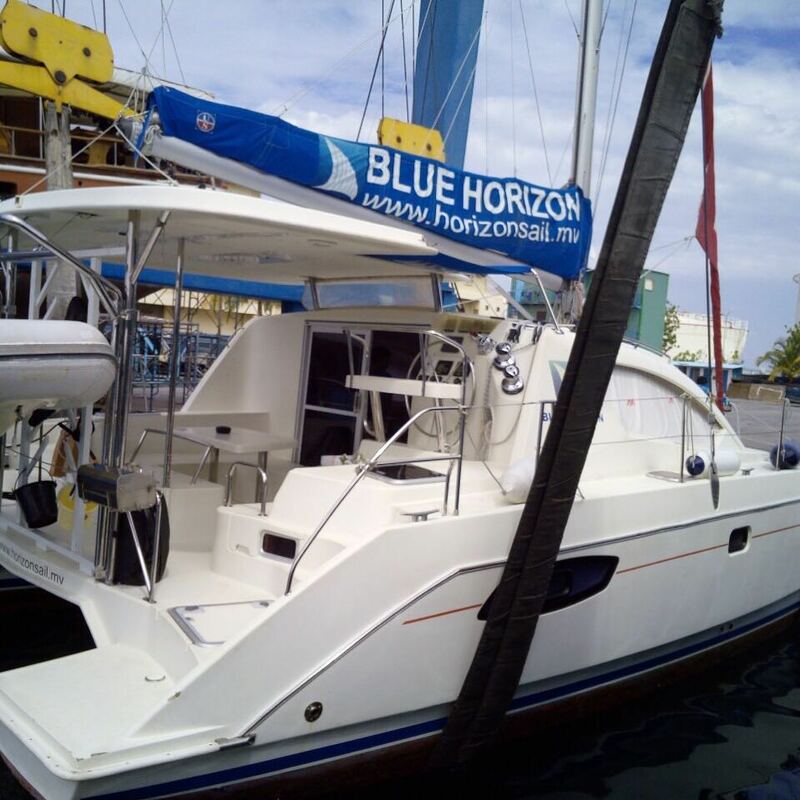 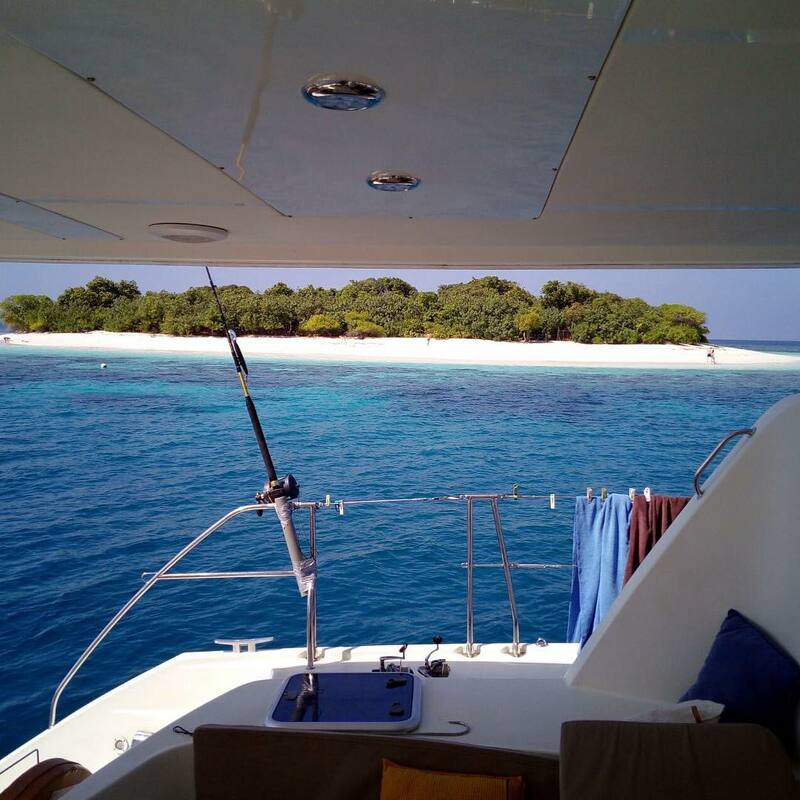 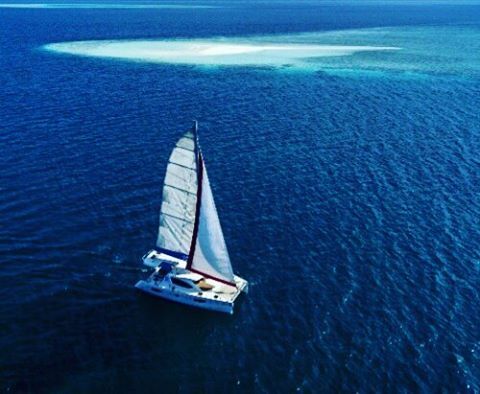 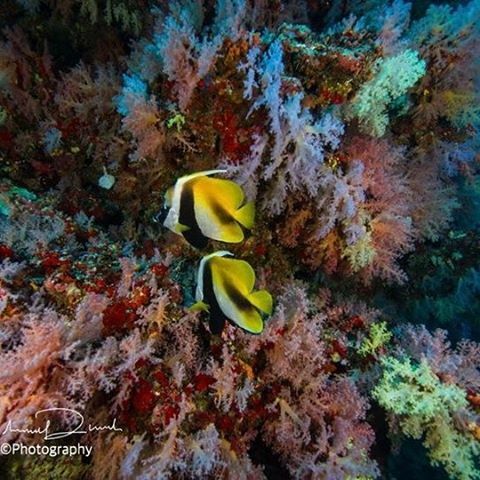 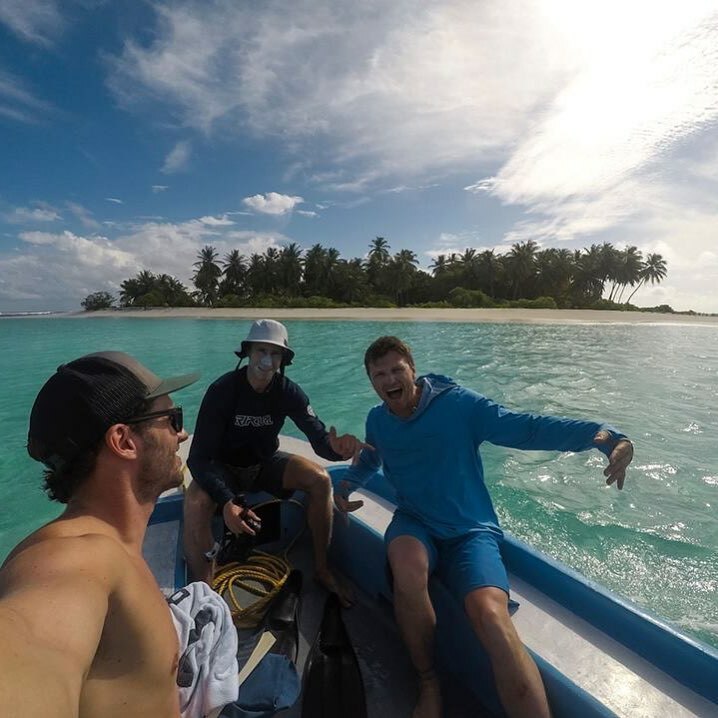 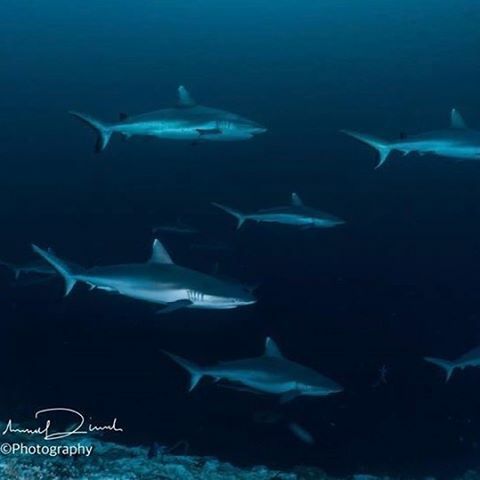 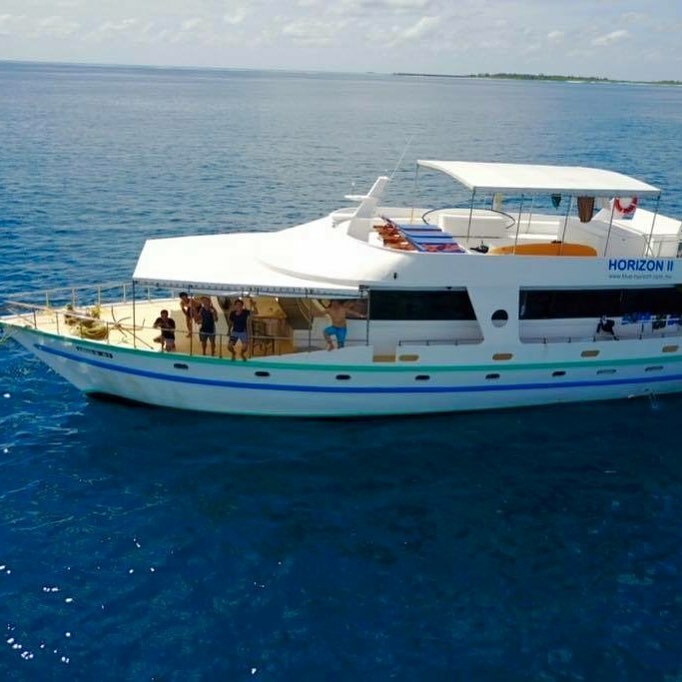 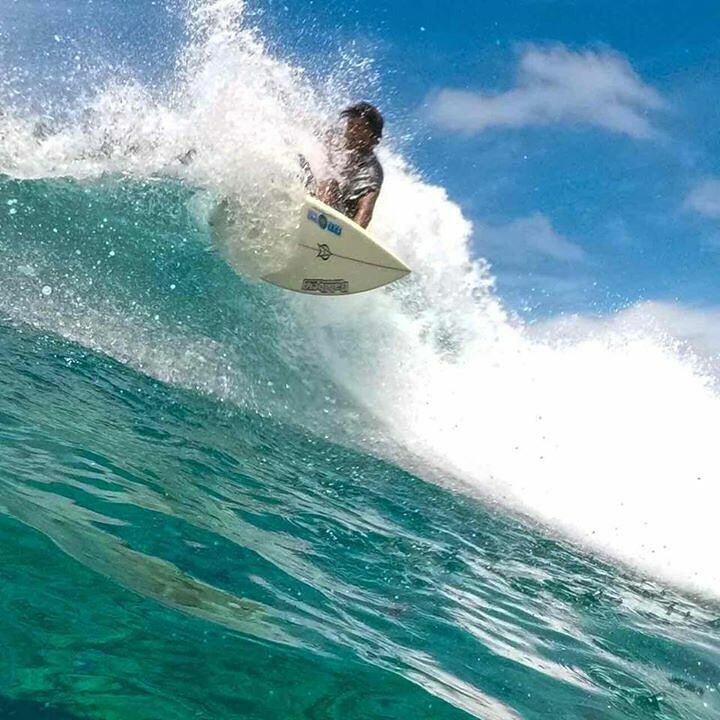 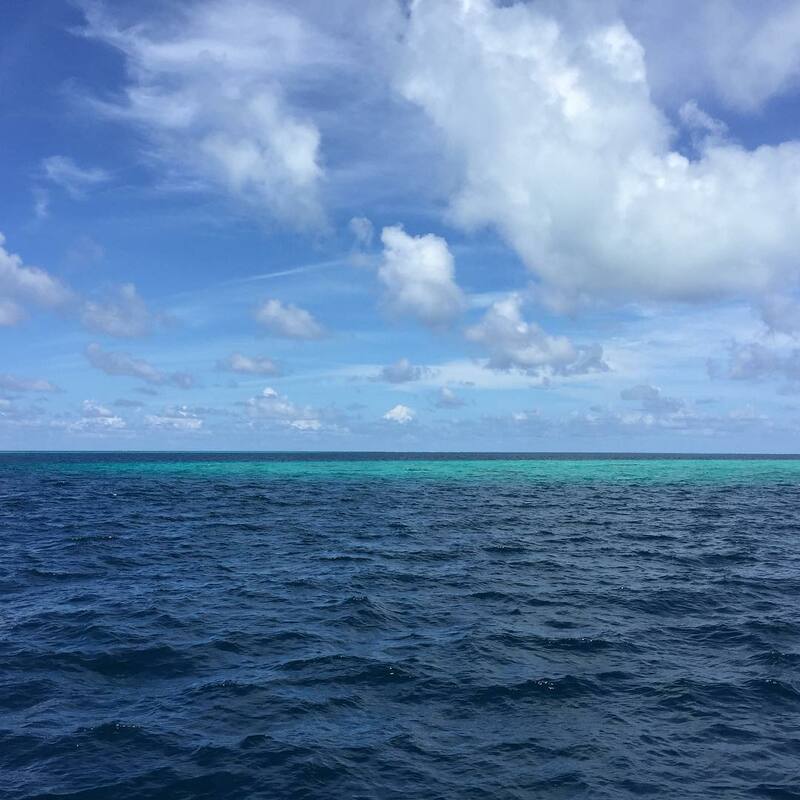 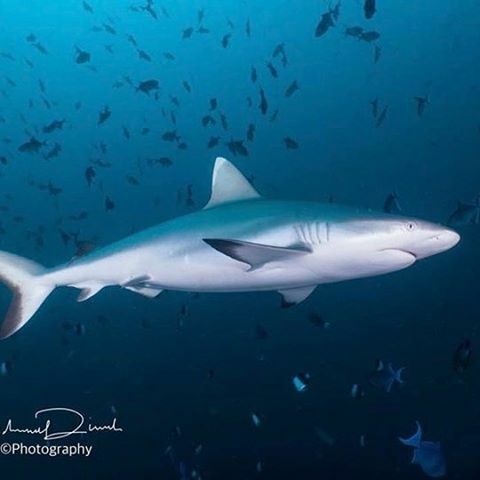 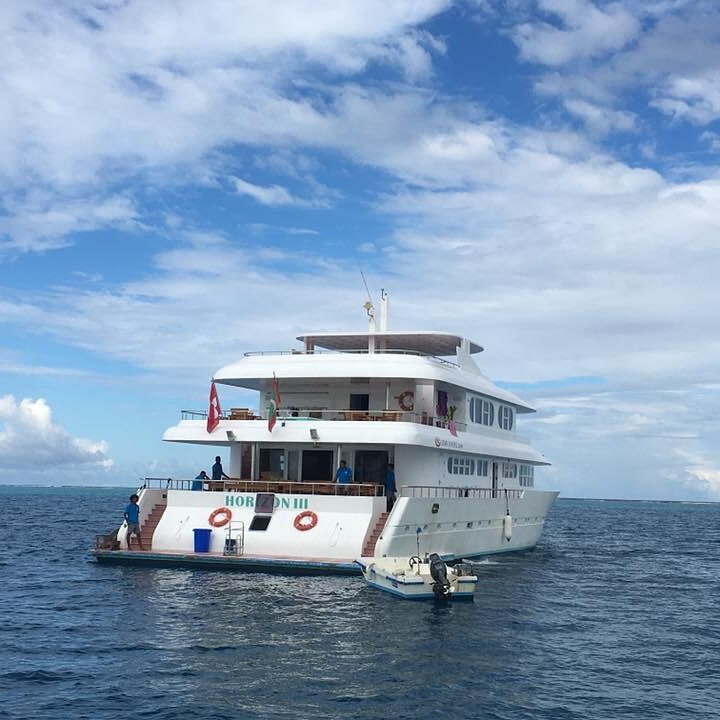 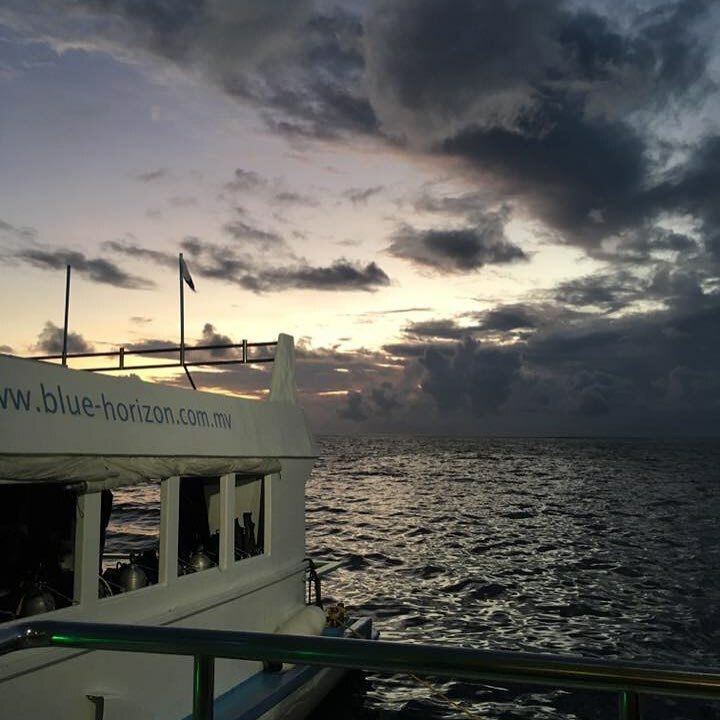 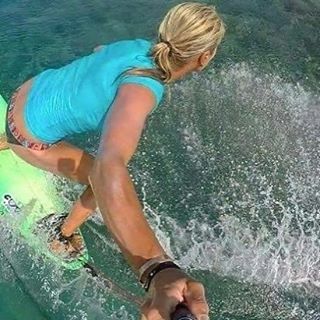 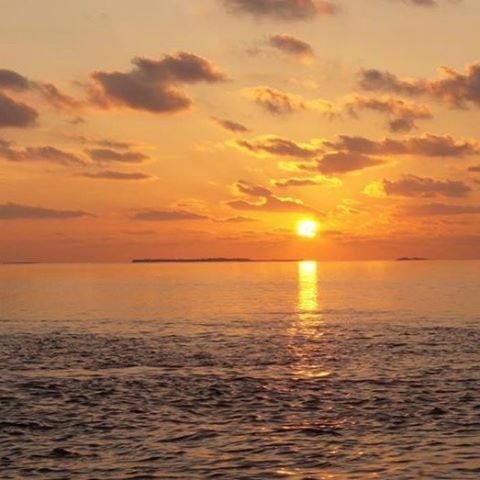 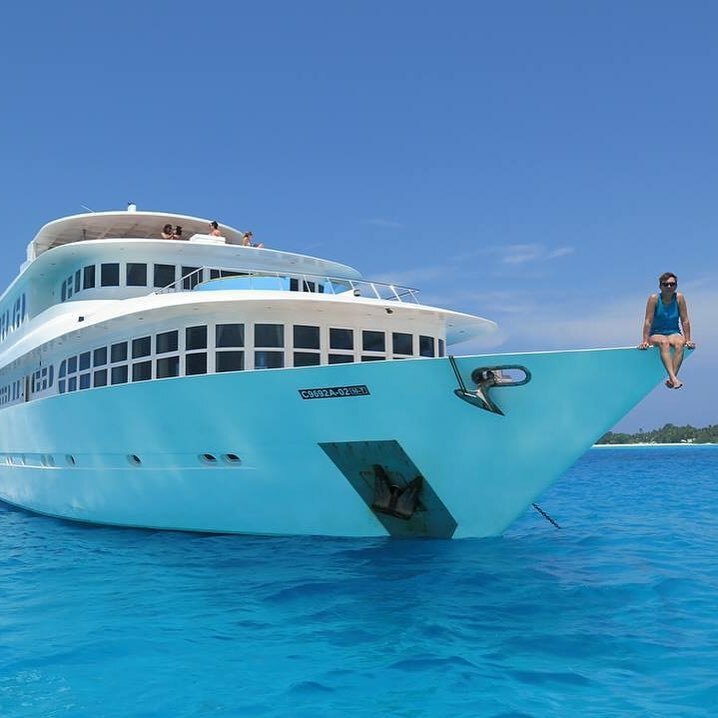 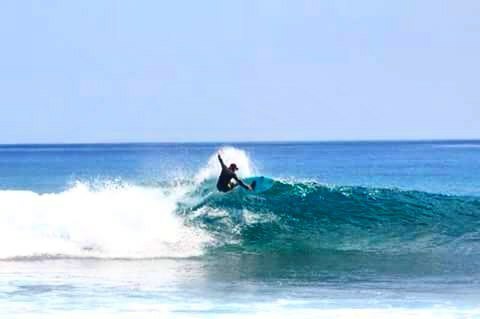 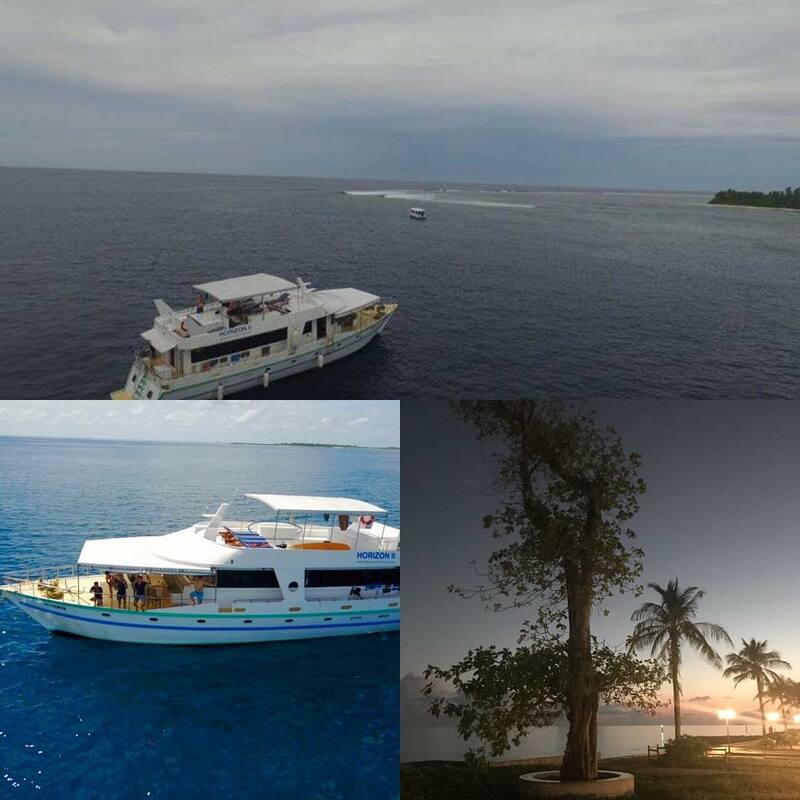 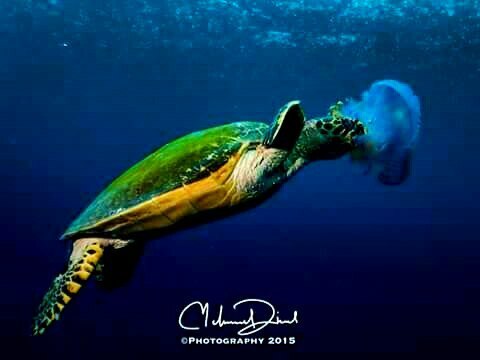 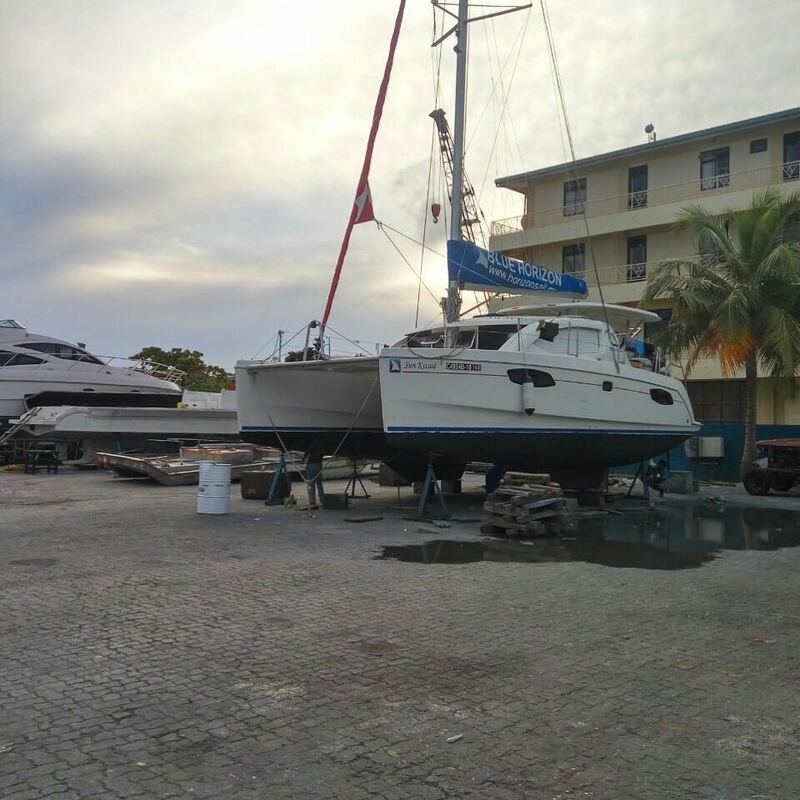 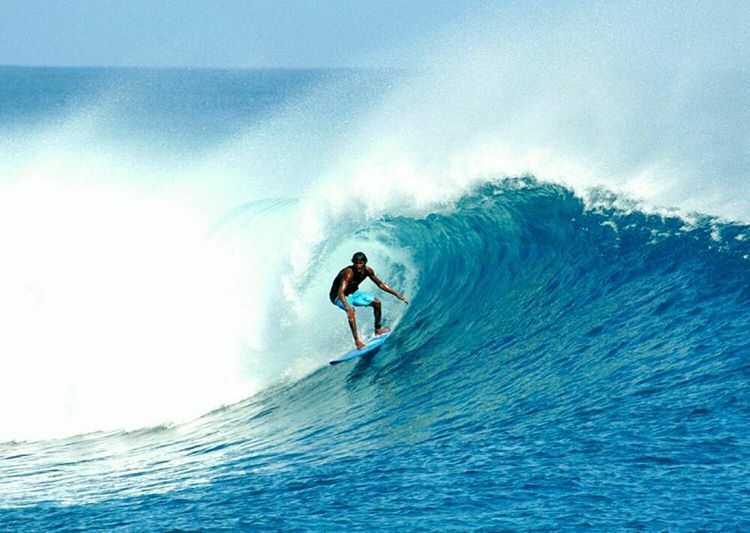 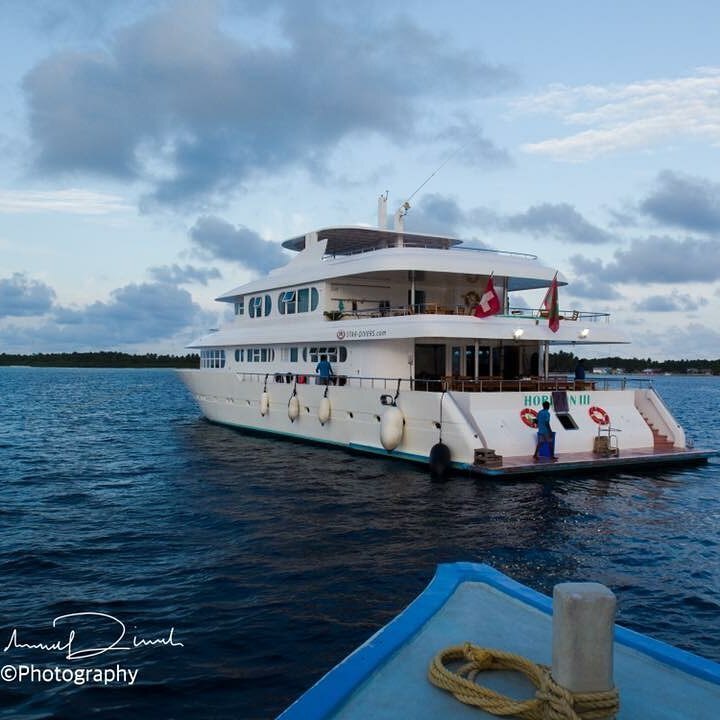 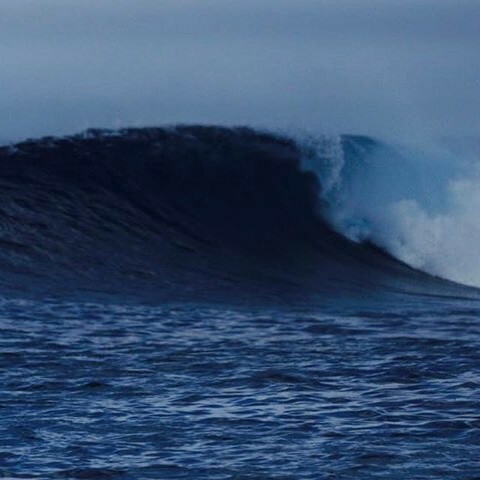 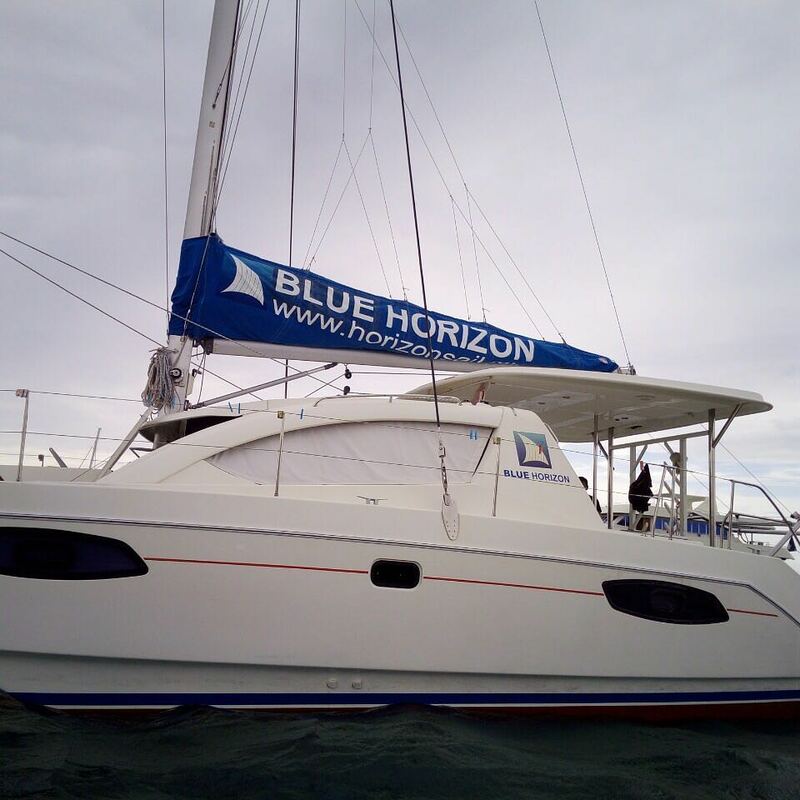 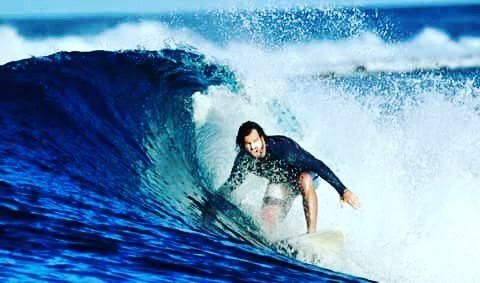 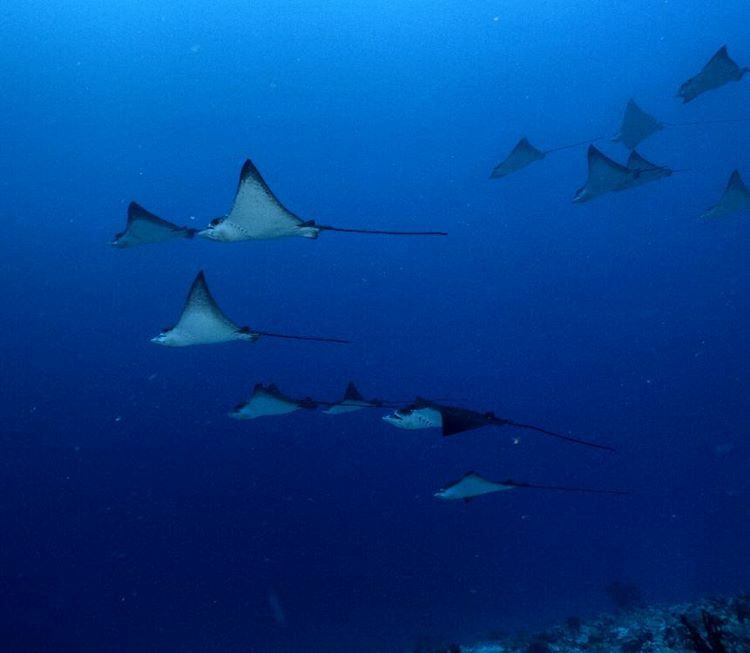 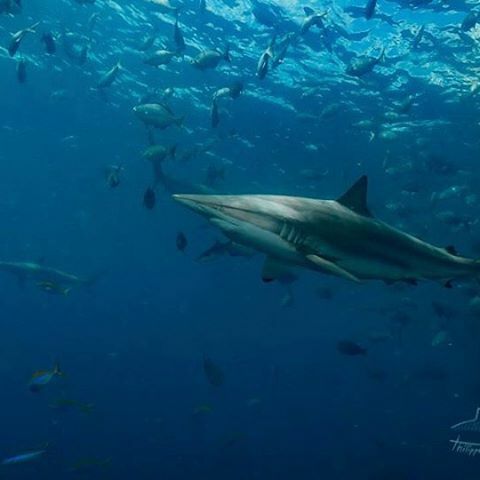 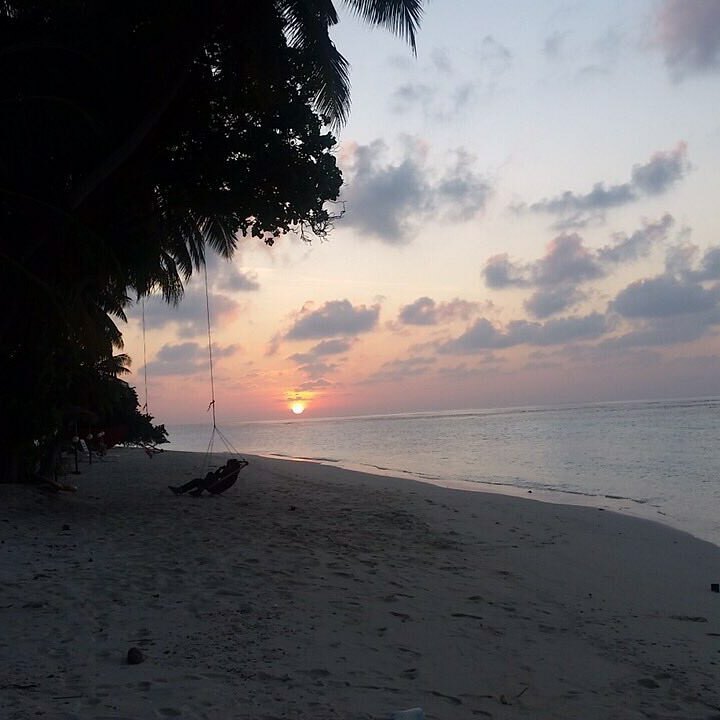 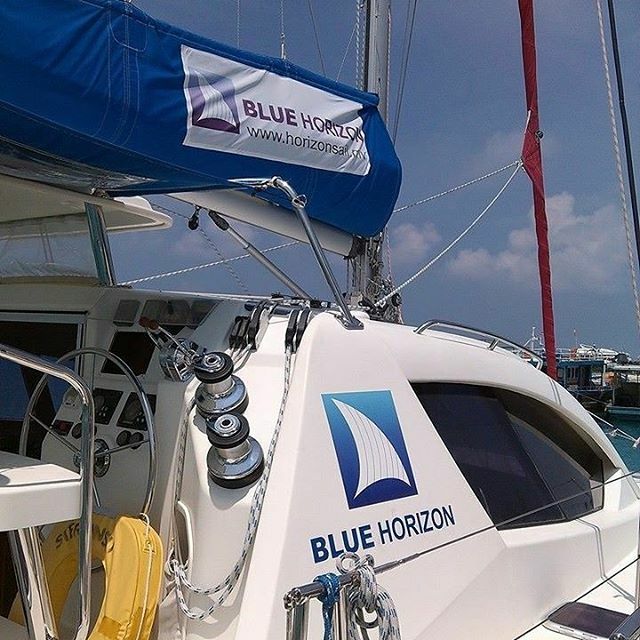 Blue Horizon Surf Maldives shared an album.